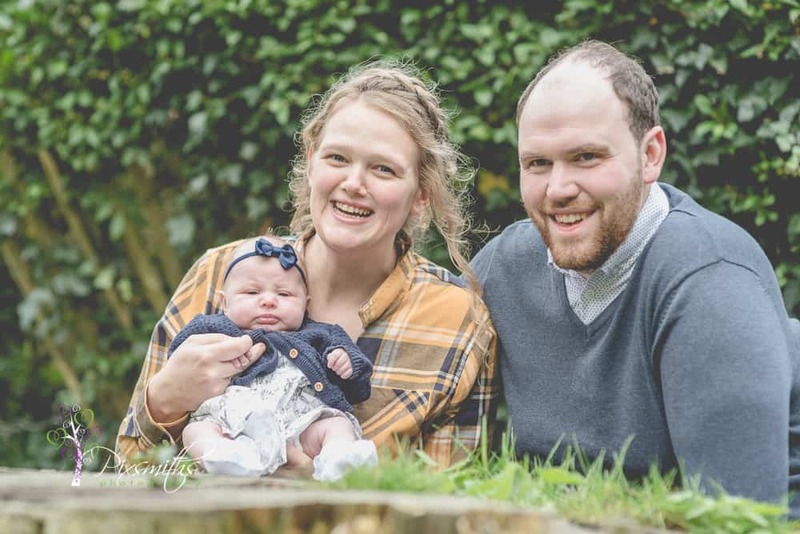 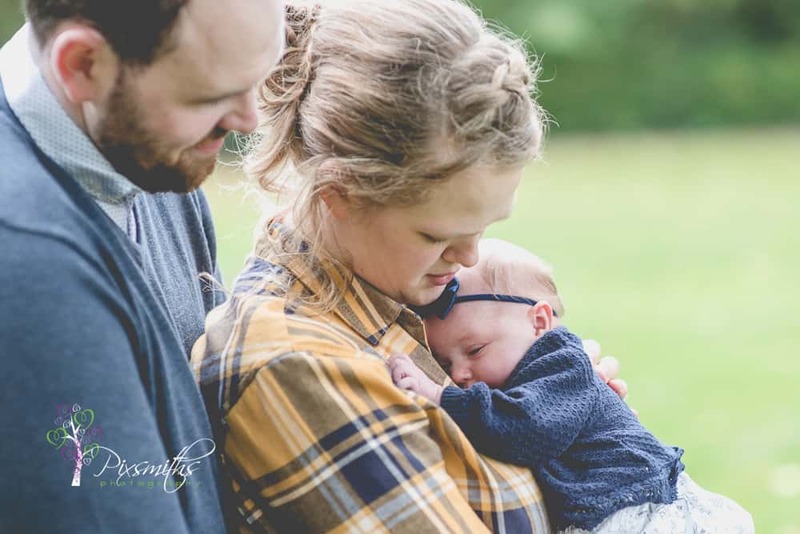 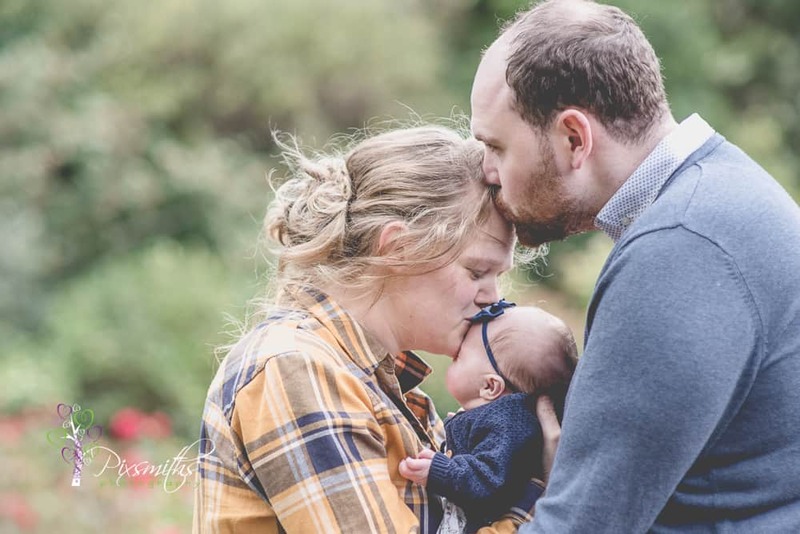 Pixsmiths were delighted when Chelsea contacted us to arrange a relaxed family shoot with her partner Jack and six week old daughter Florence. 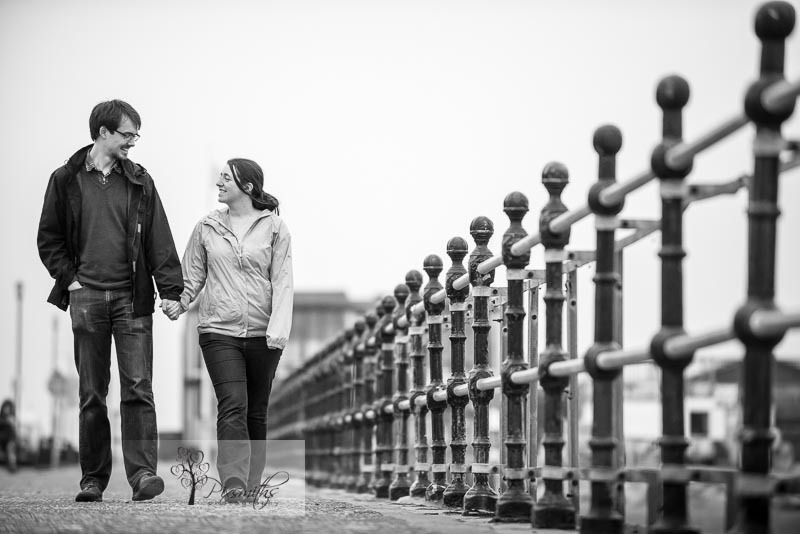 Always a privilege to shoot another photographer too! 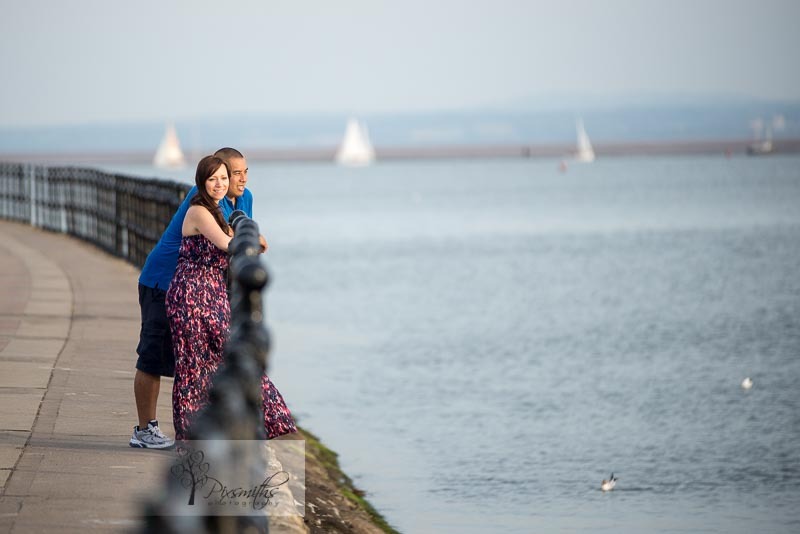 Chelsea had family in West Kirby so this was her chosen location. 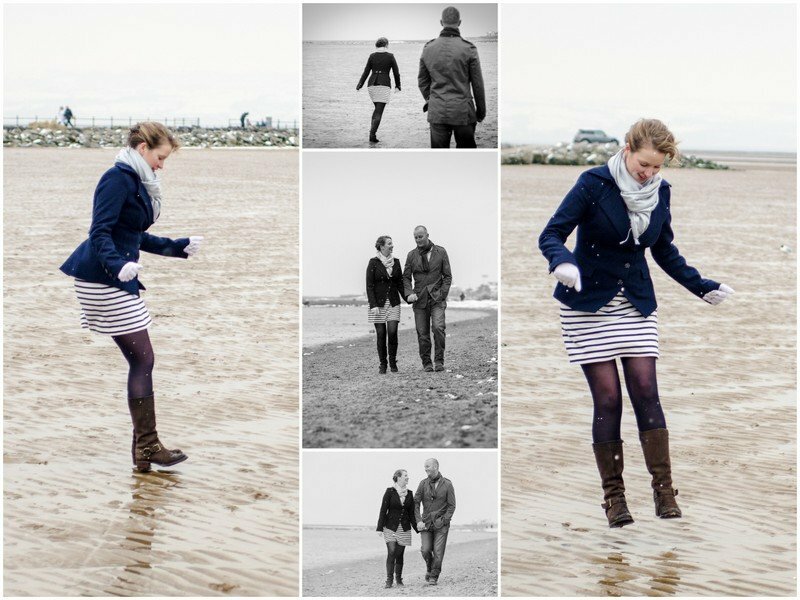 Originally intended for the beach but being a tad windy and sand blowing everywhere the shoot was switched to Aston Park. 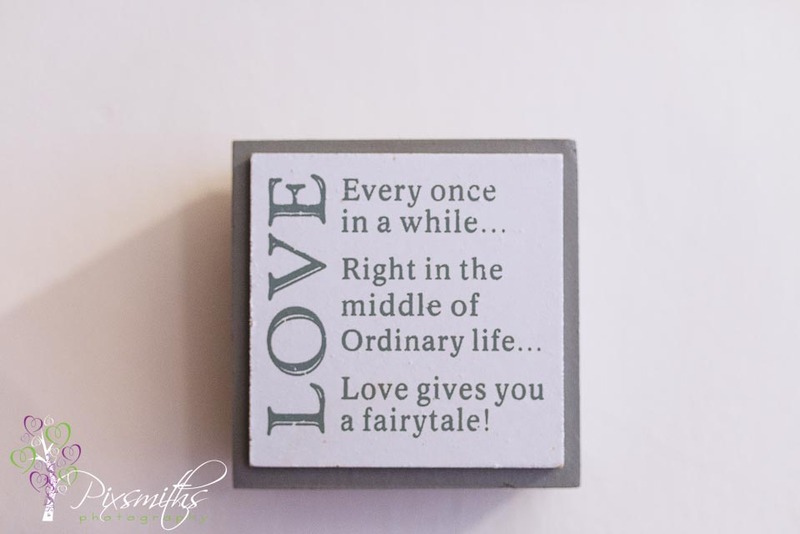 Its good to have options! 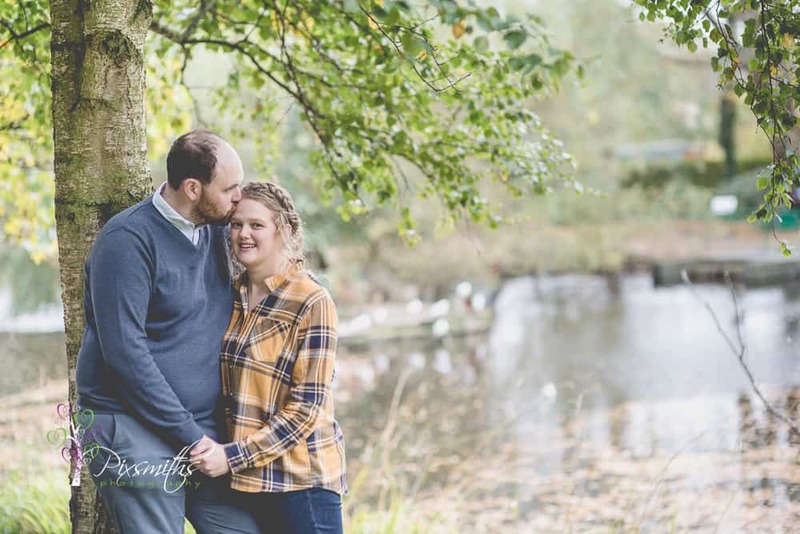 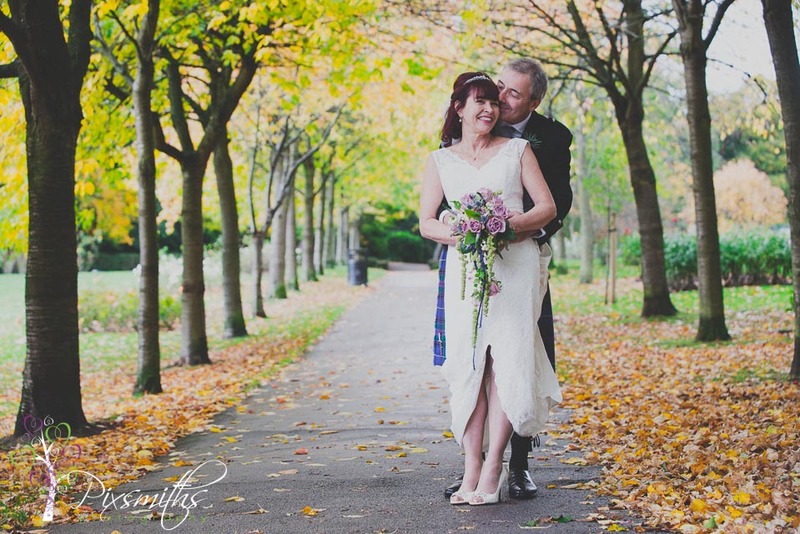 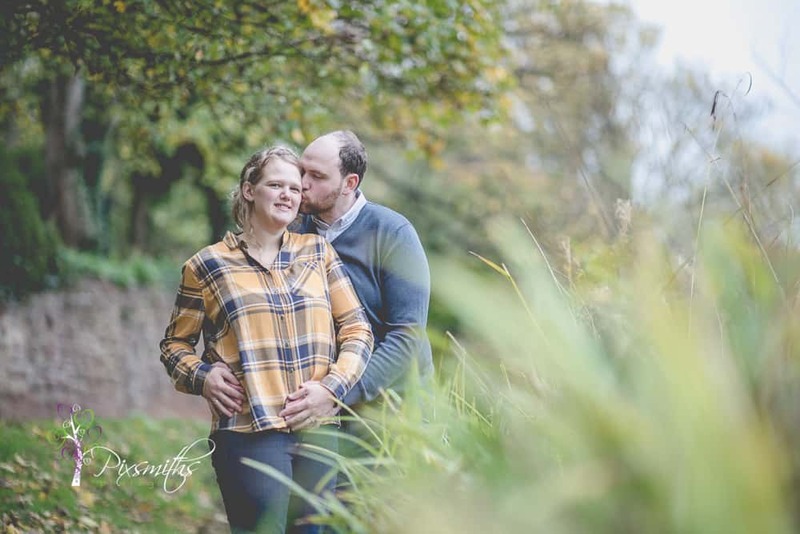 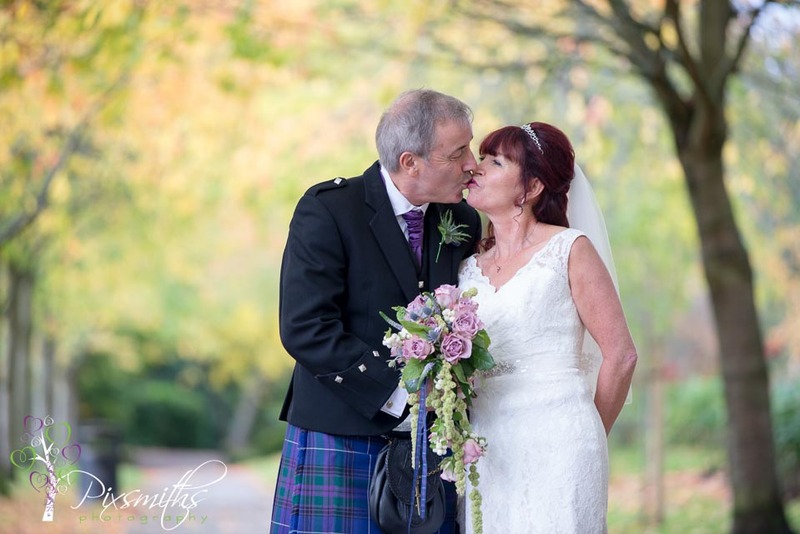 So a walk through the delightful Aston Park on an autumnal day with beautiful coloured tree backdrops to capture some gorgeous shots for this delightful family. 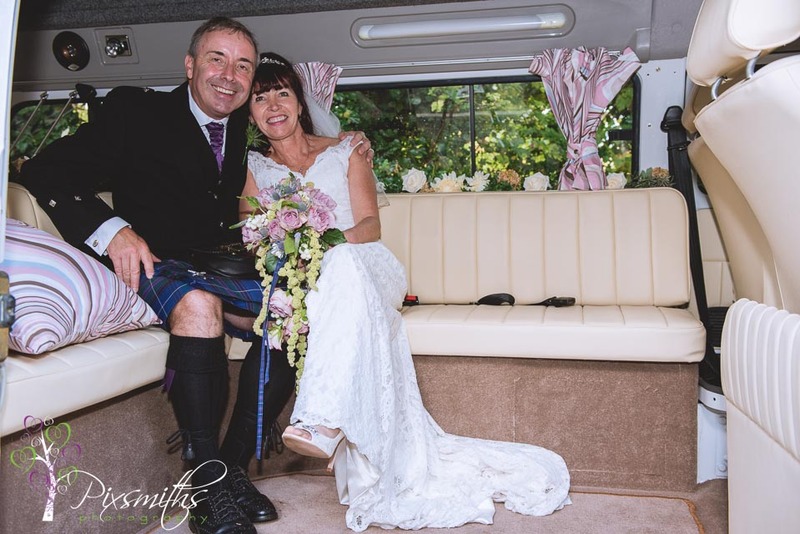 They had had some tough times recently so glad we could give them this happy experience. 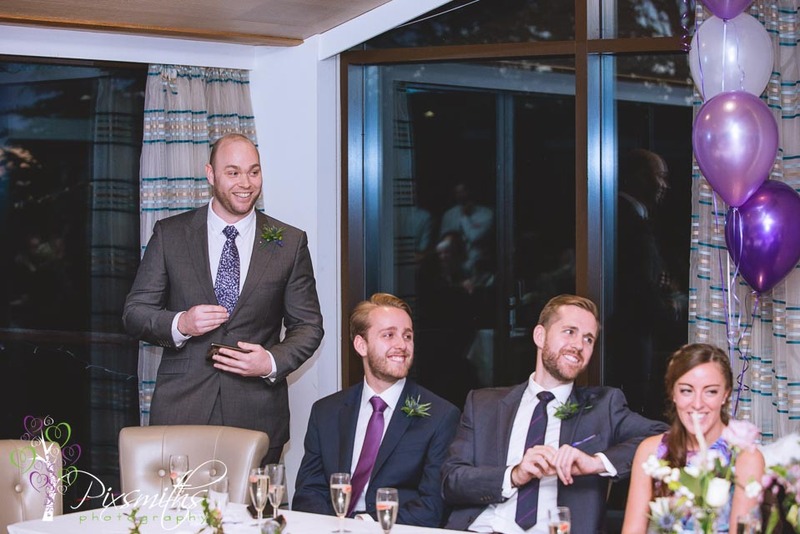 Enjoy these few highlights guys. 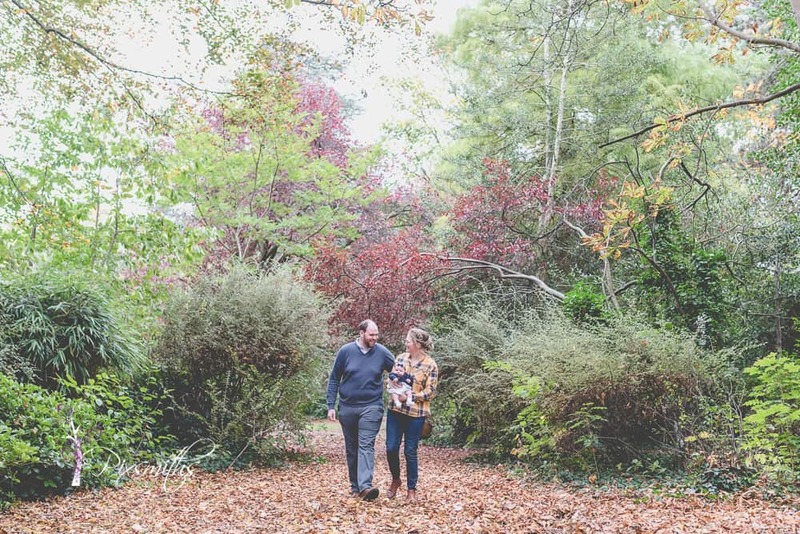 Autumn is a great time for relaxed family shoots. 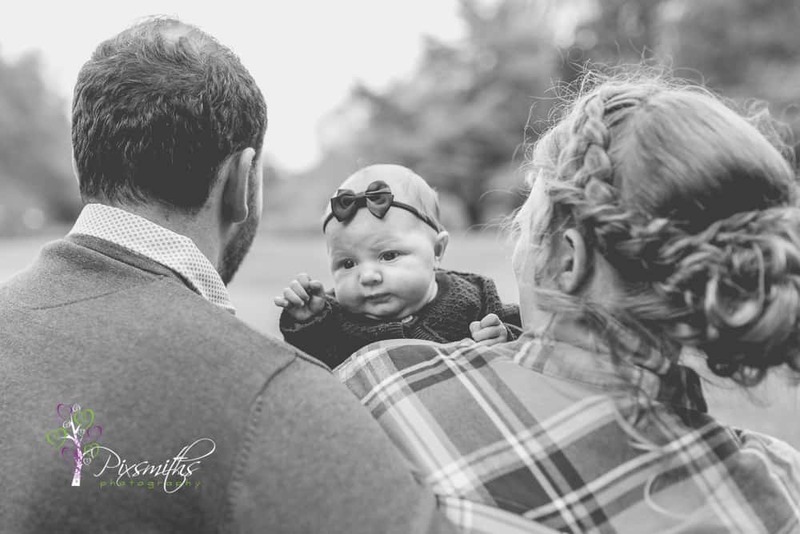 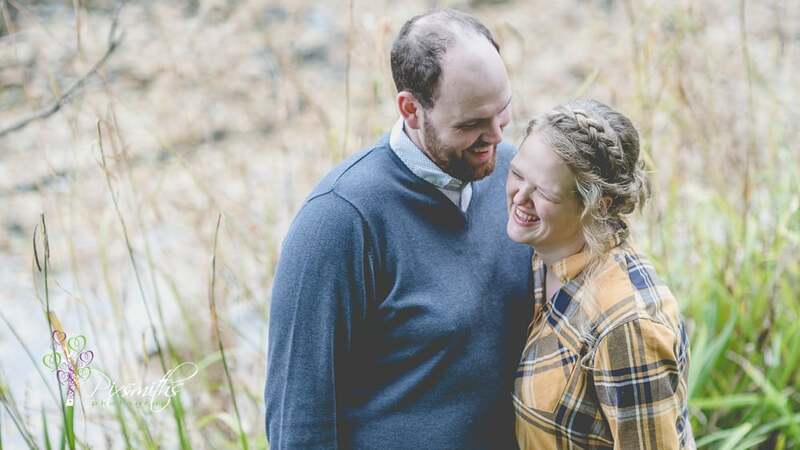 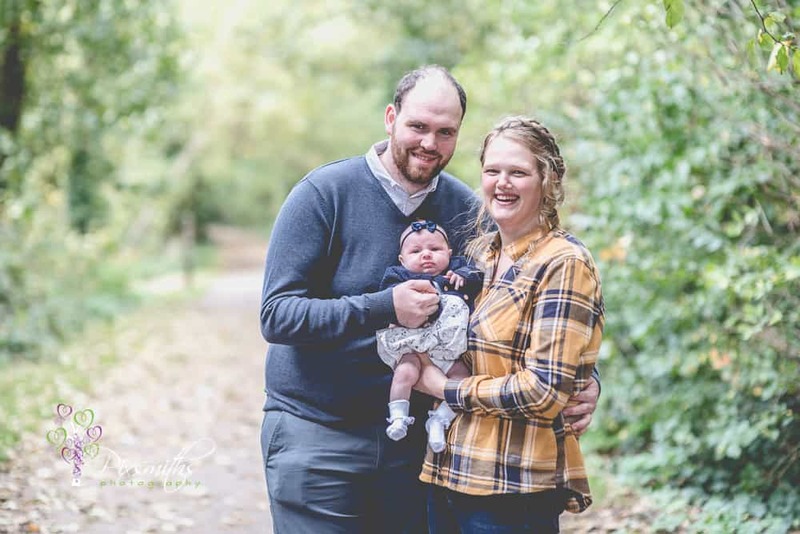 We loved to hear from you if you want a local family shoot. 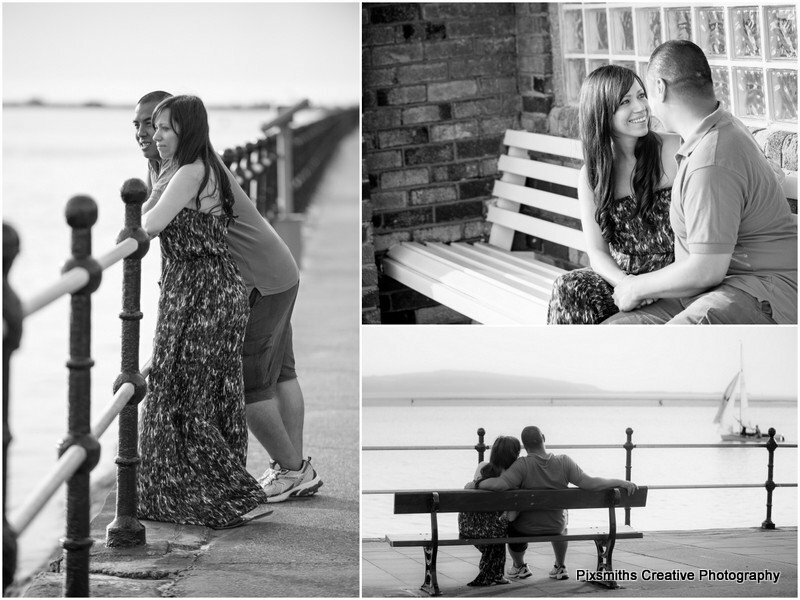 please get in touch to arrange a session! 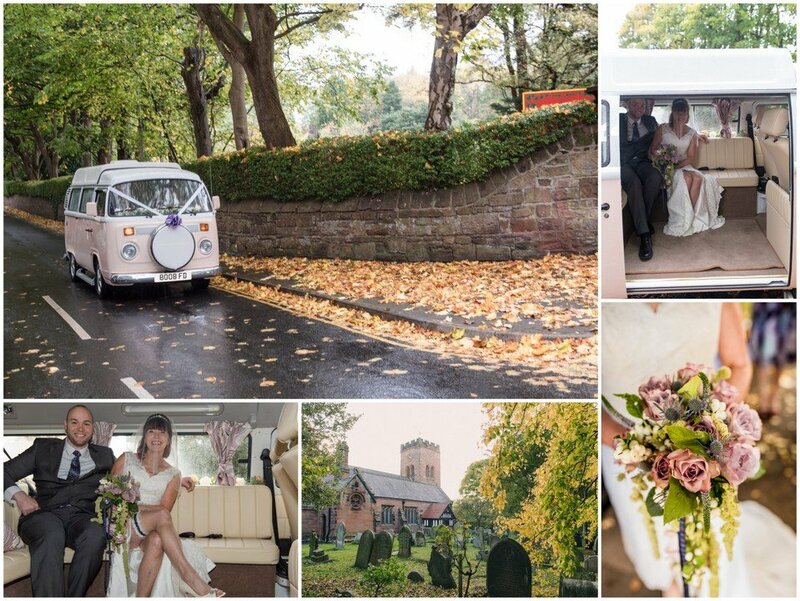 All You Need is Love and a dog for a West Kirby Wedding ! 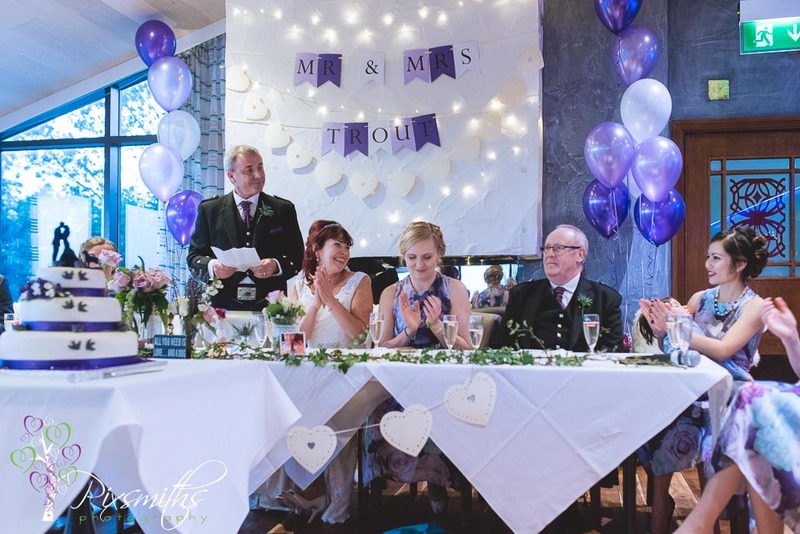 All our weddings are special to us and our couples. 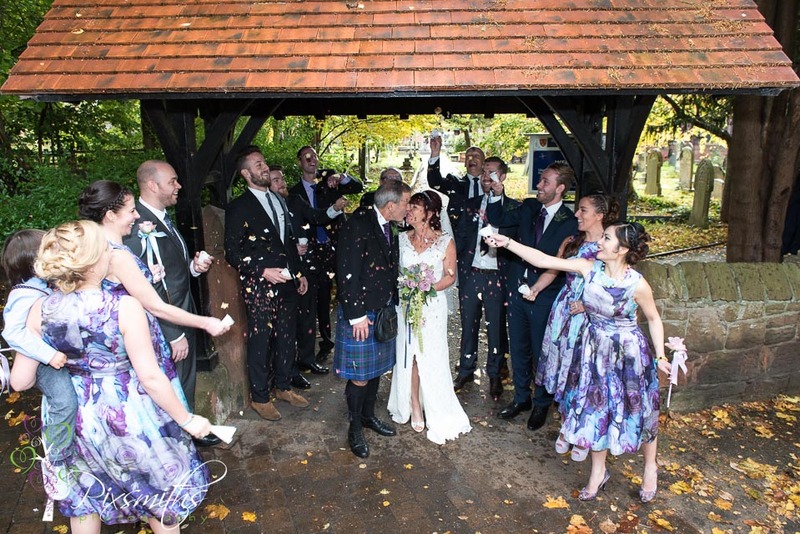 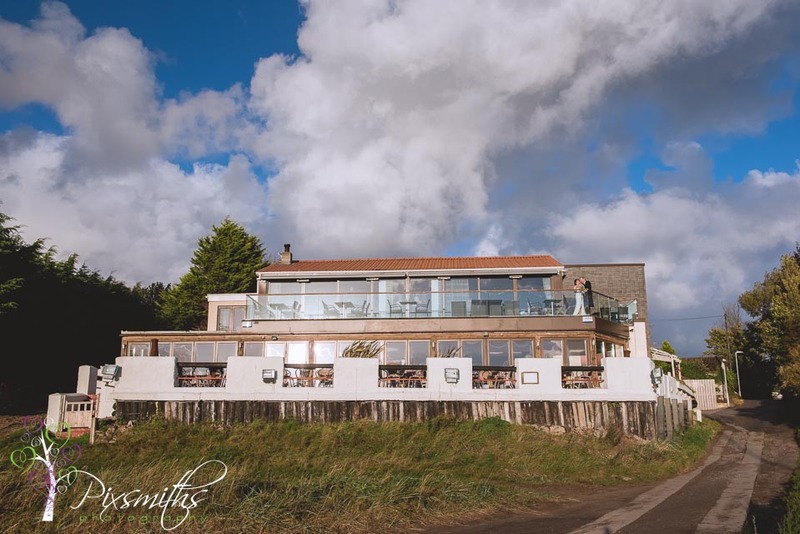 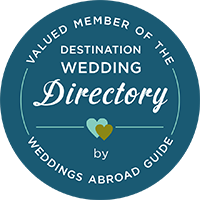 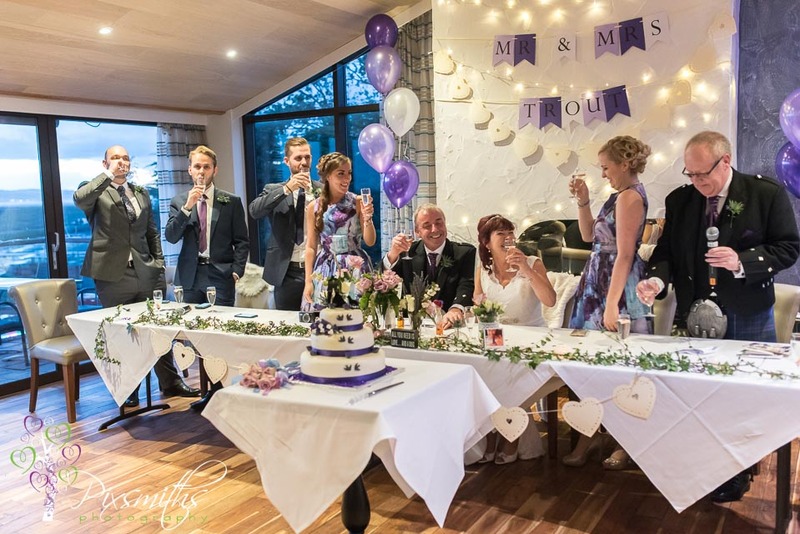 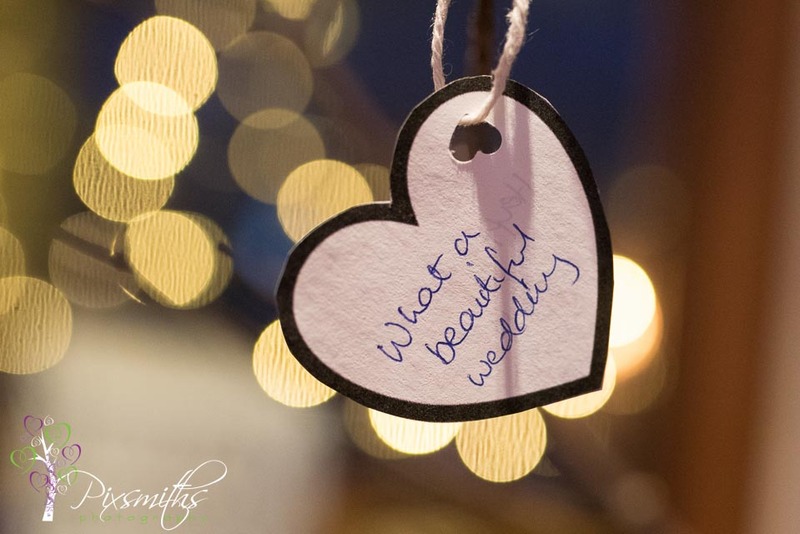 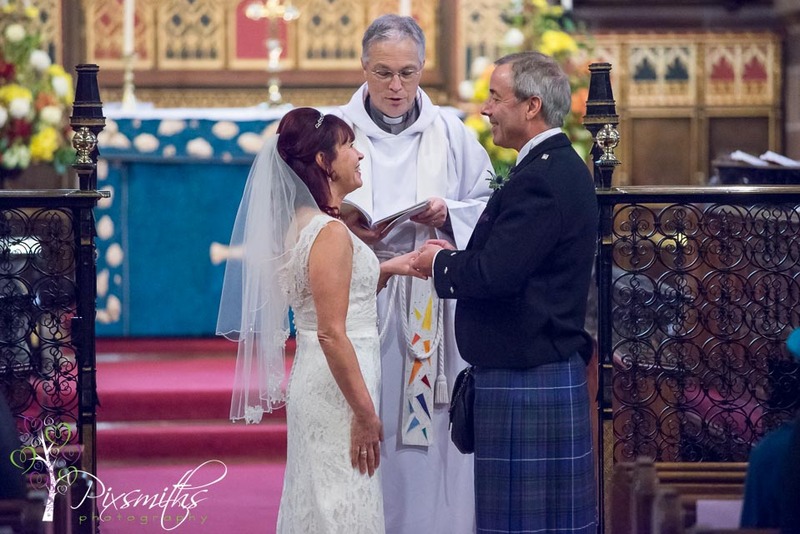 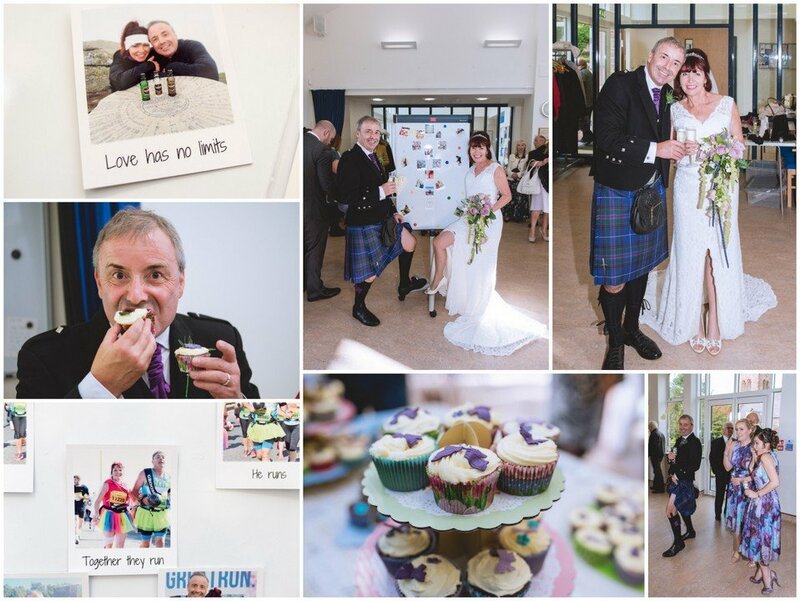 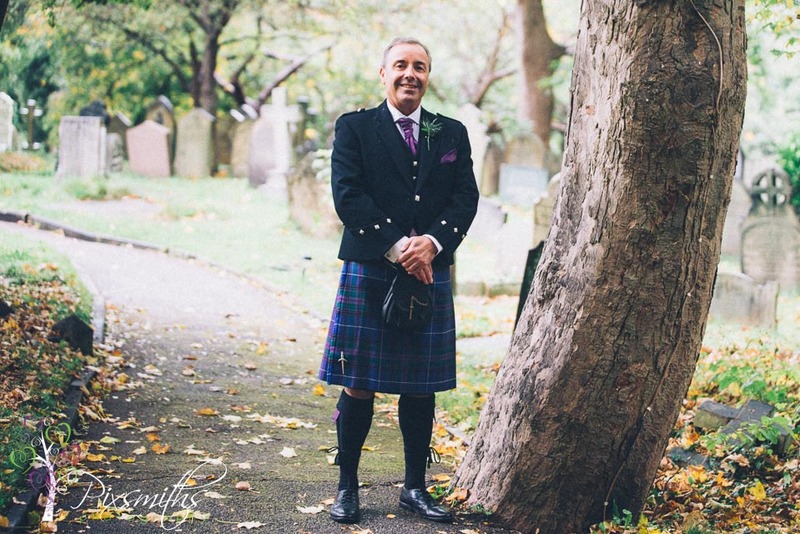 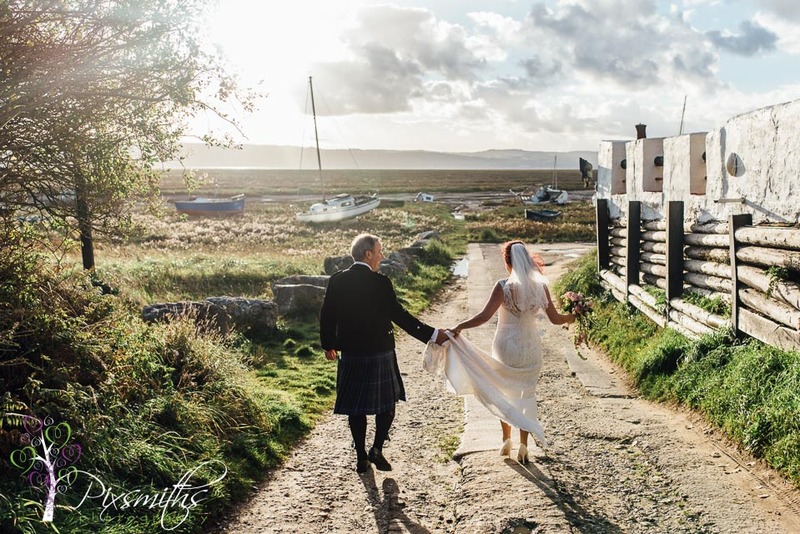 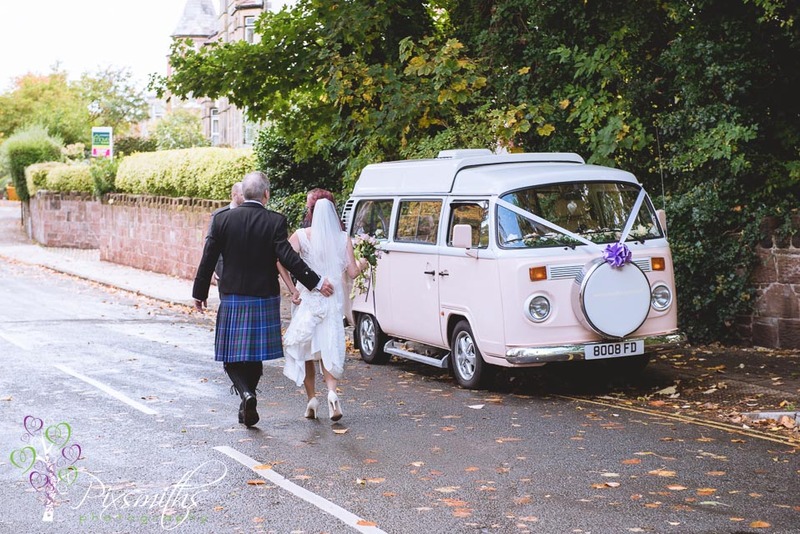 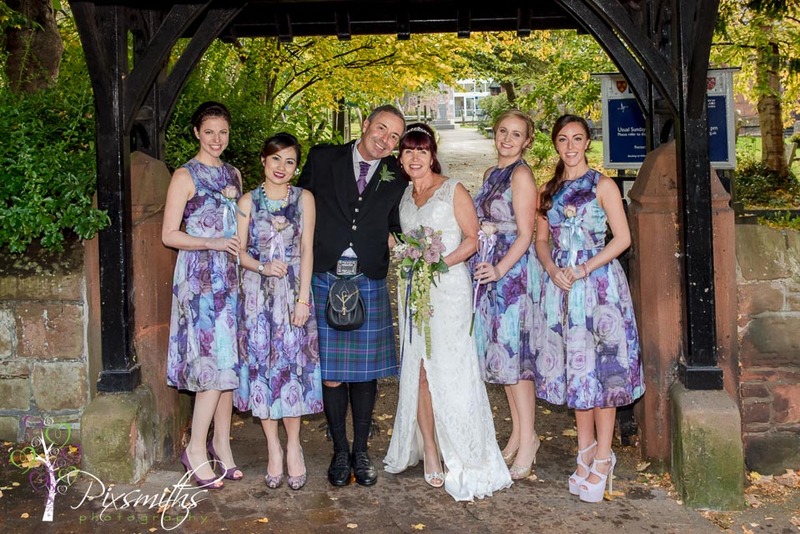 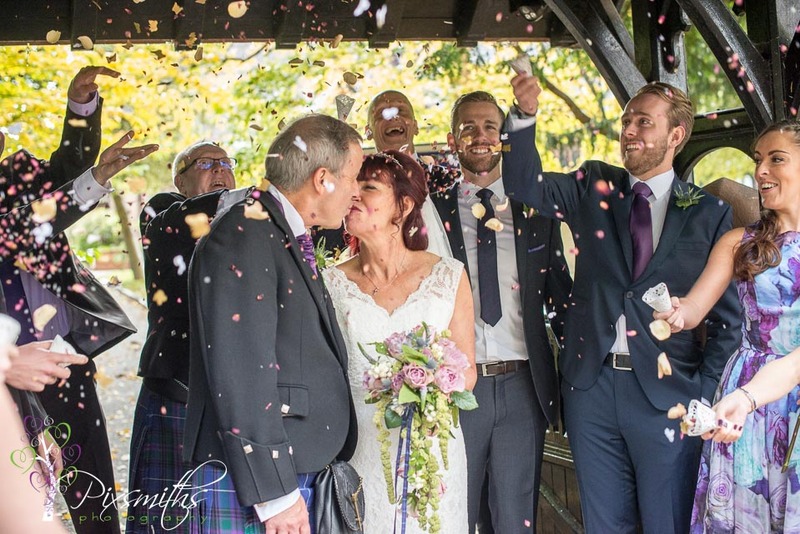 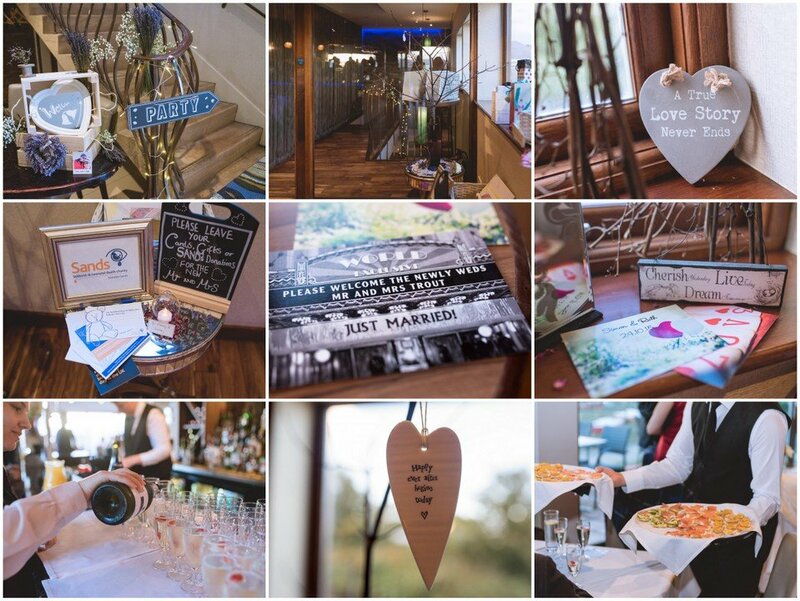 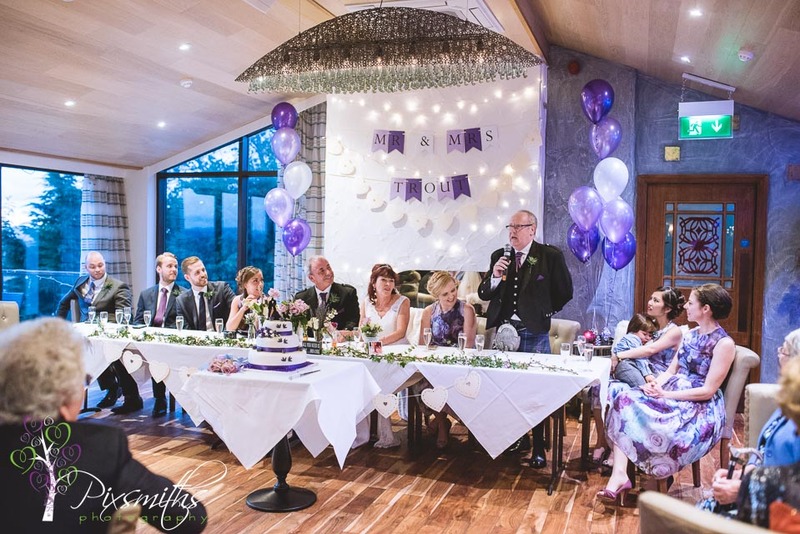 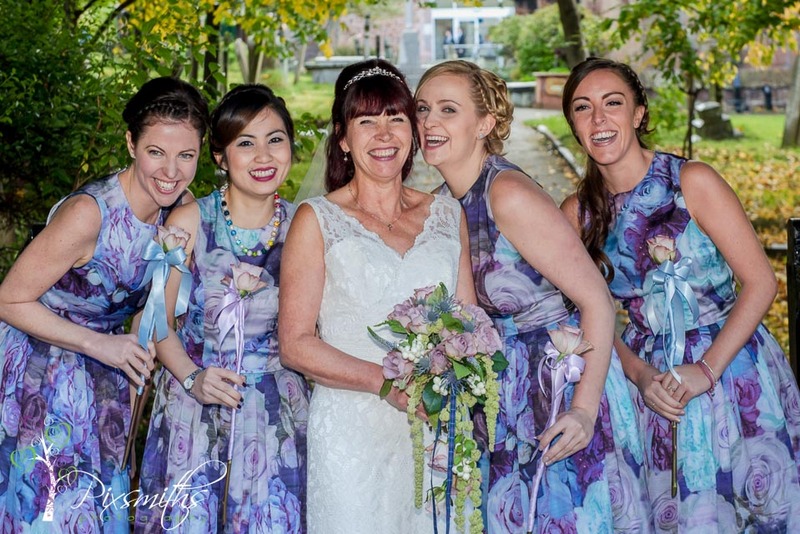 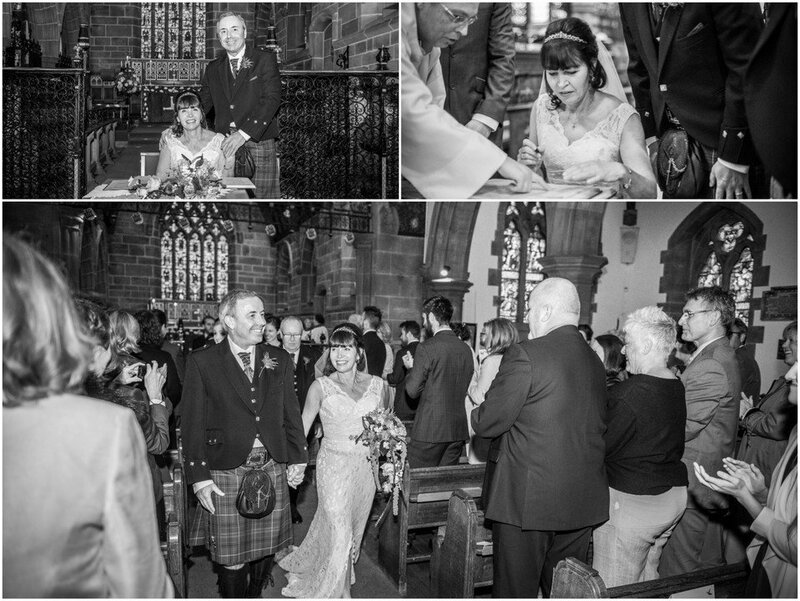 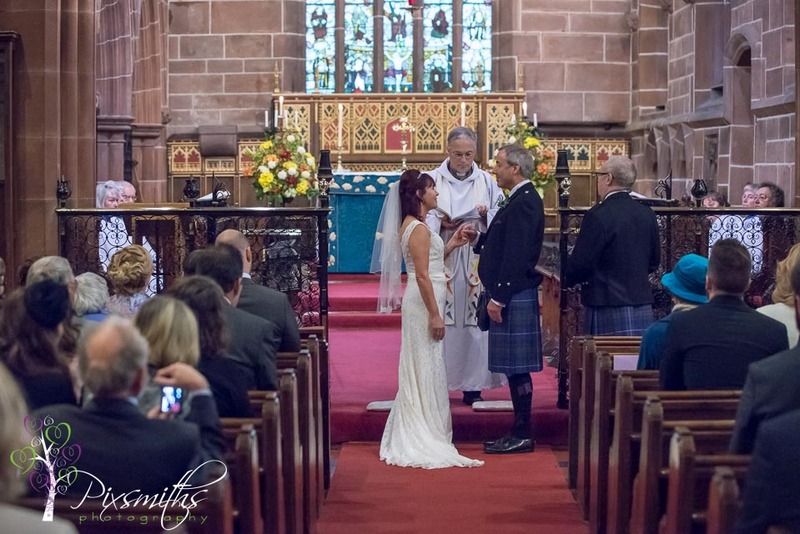 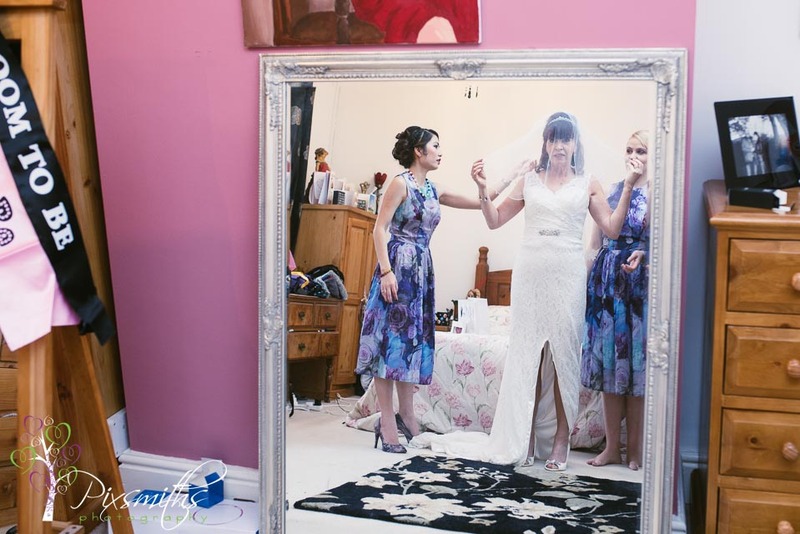 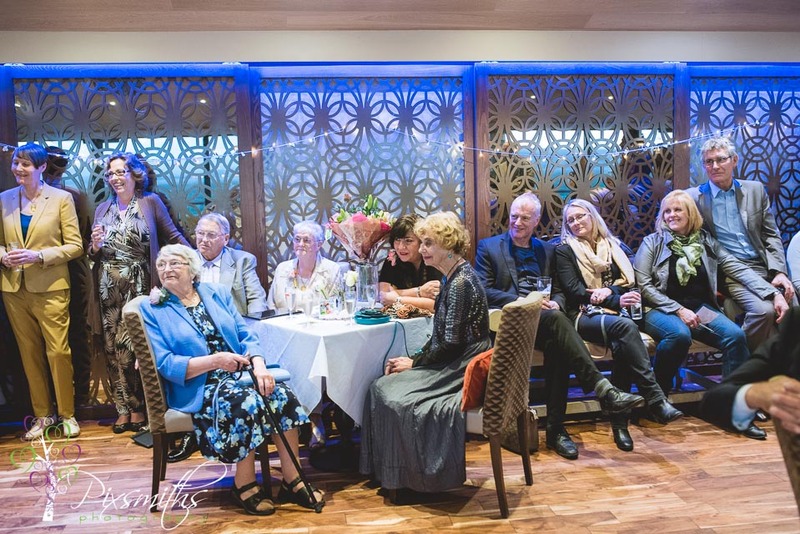 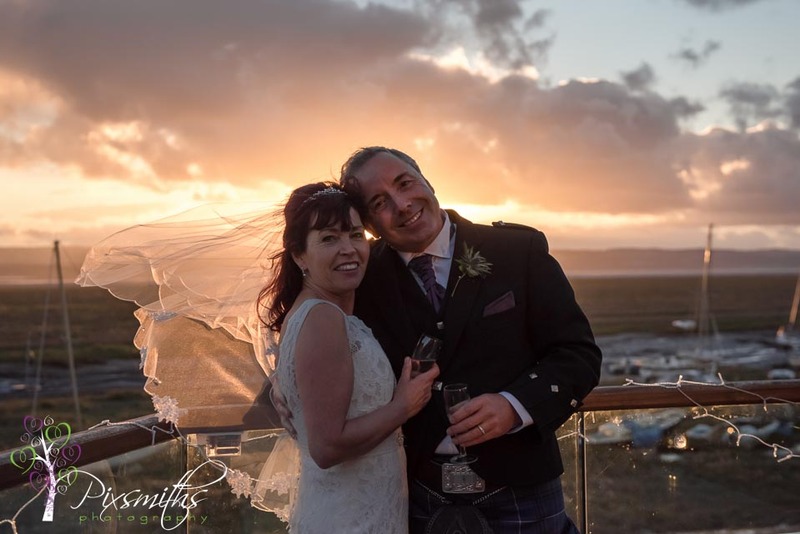 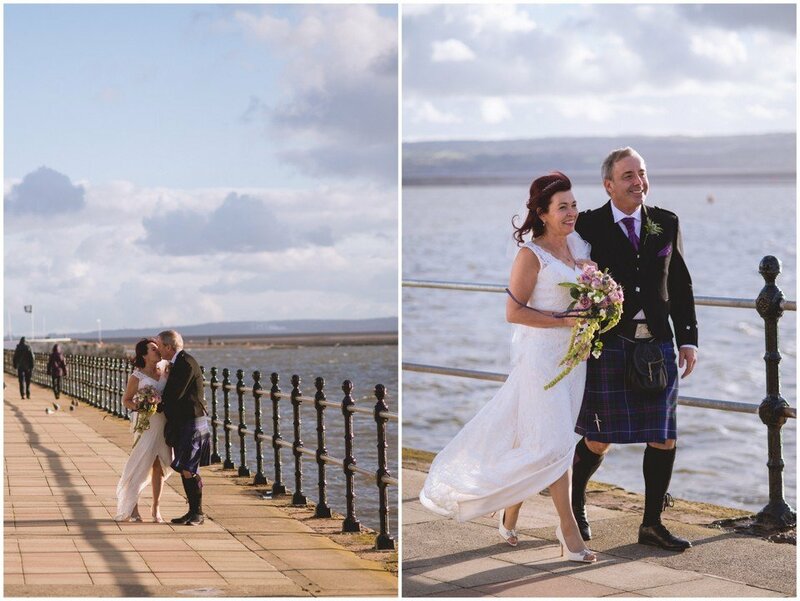 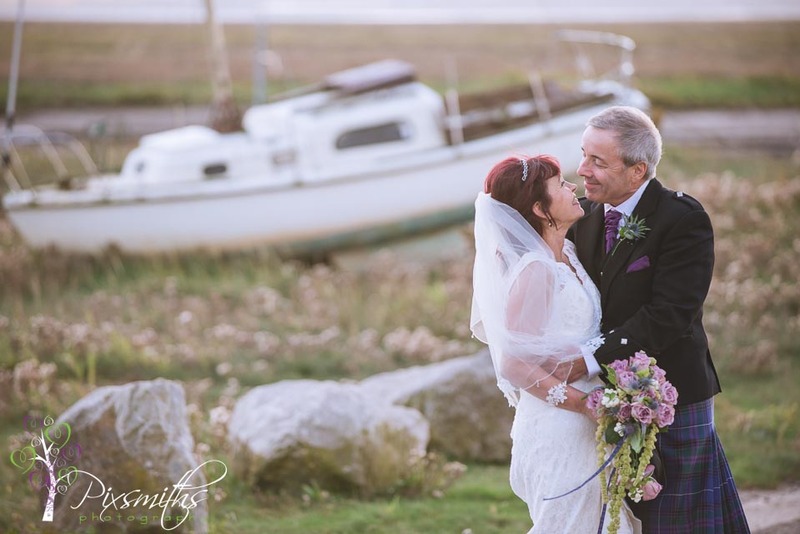 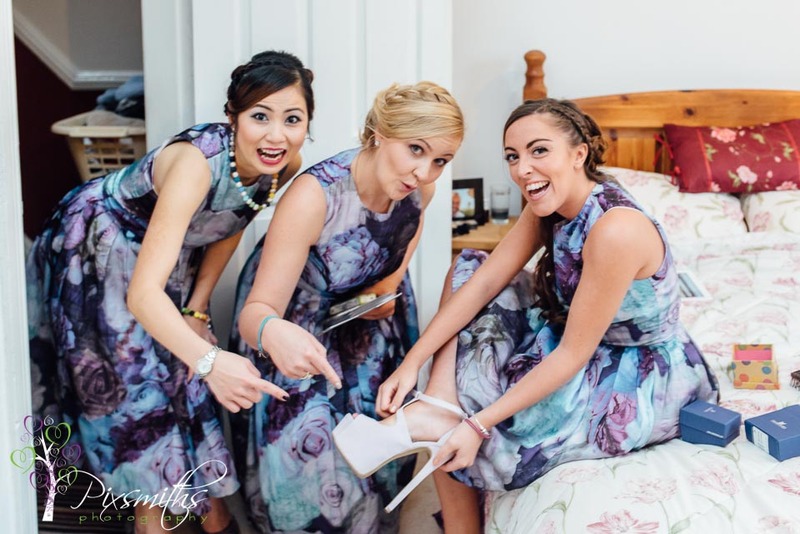 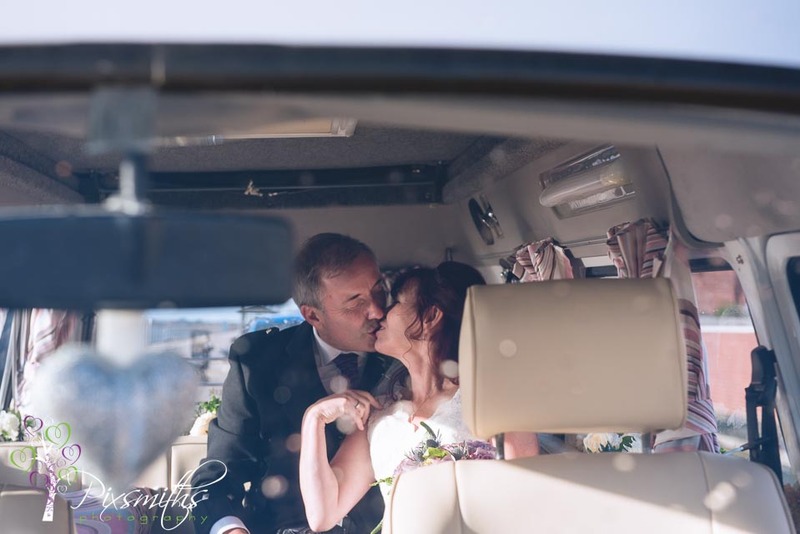 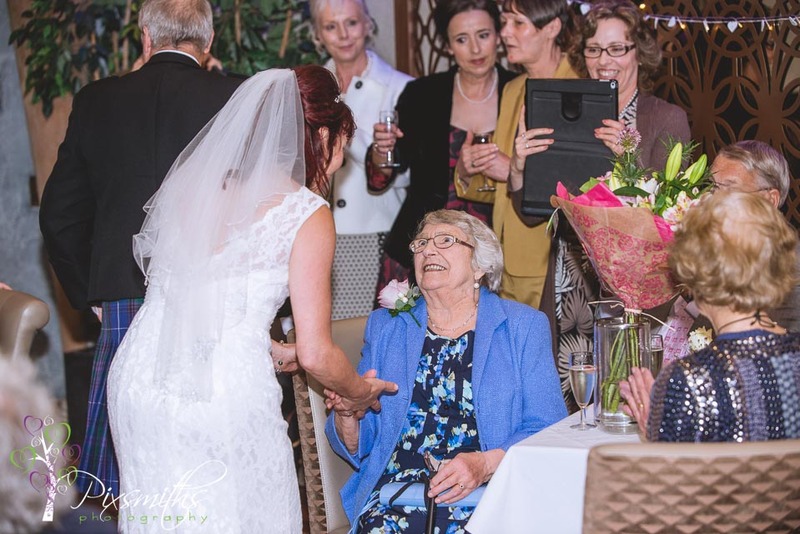 We love to travel for destination weddings but equally a home West Kirby wedding is wonderful. 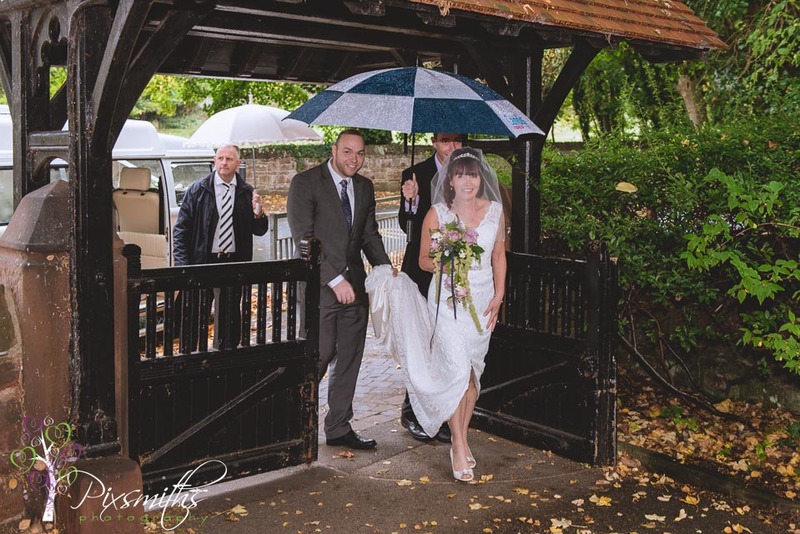 In fact our bride is our neighbour across the road and thanks to our next door neighbour put us in touch! 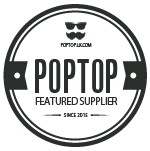 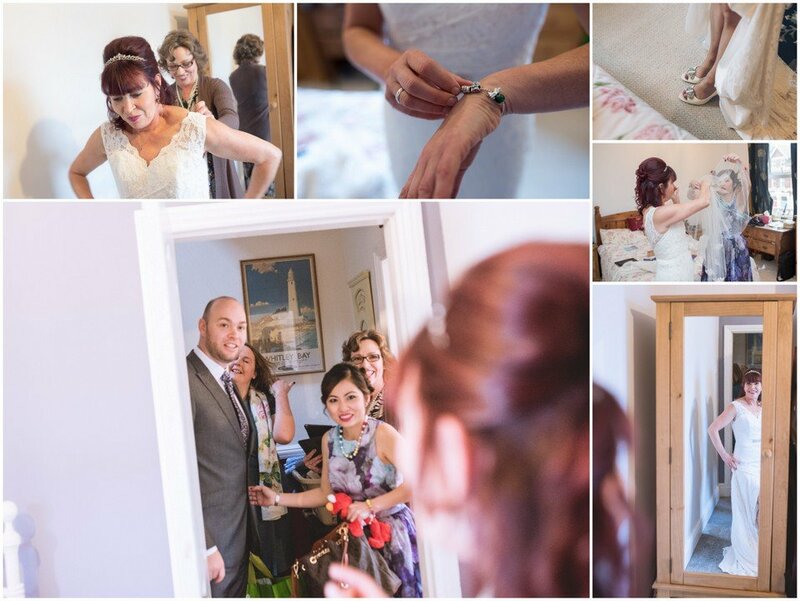 So we were extra delighted to have an oh so local wedding and that Ruth and Simon shopped locally for their wedding suppliers. 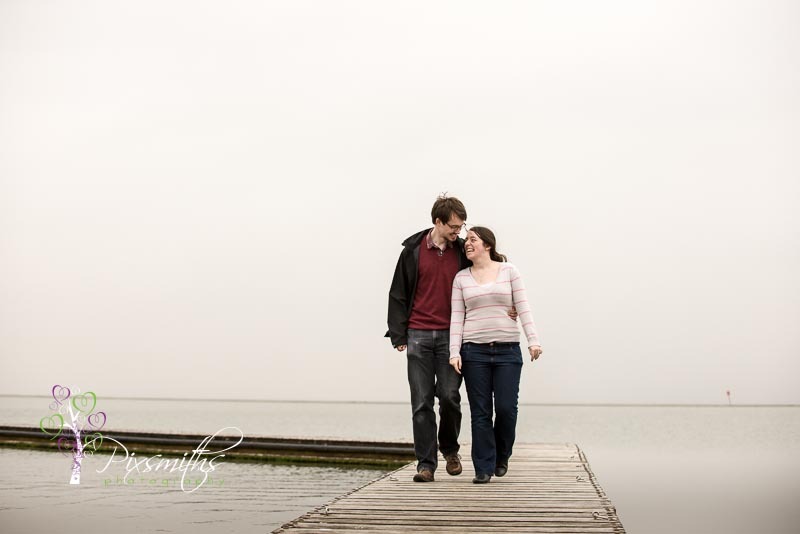 We couldn’t be much closer! 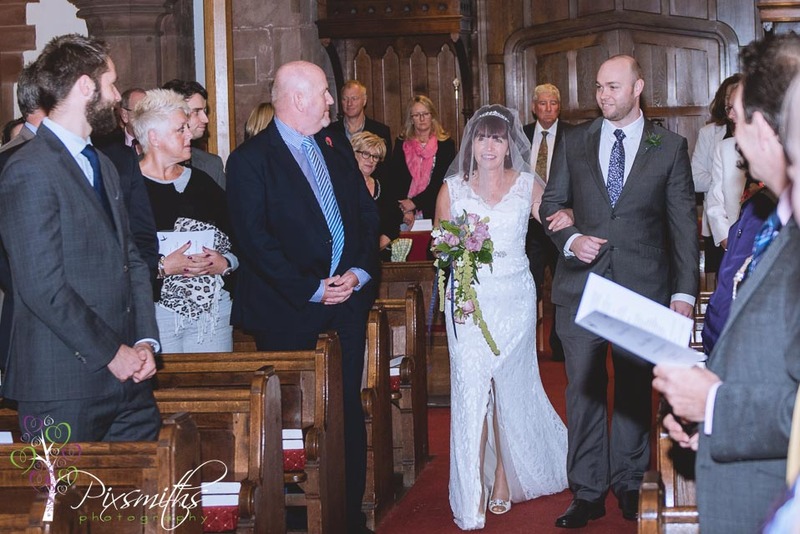 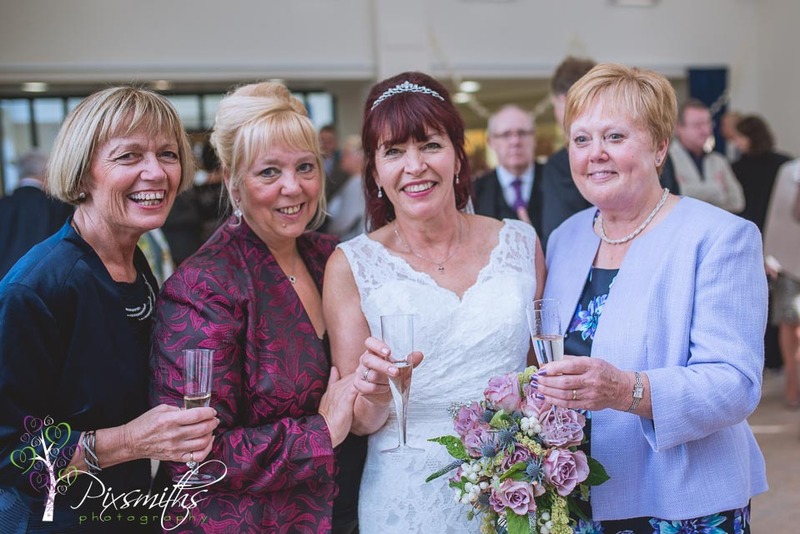 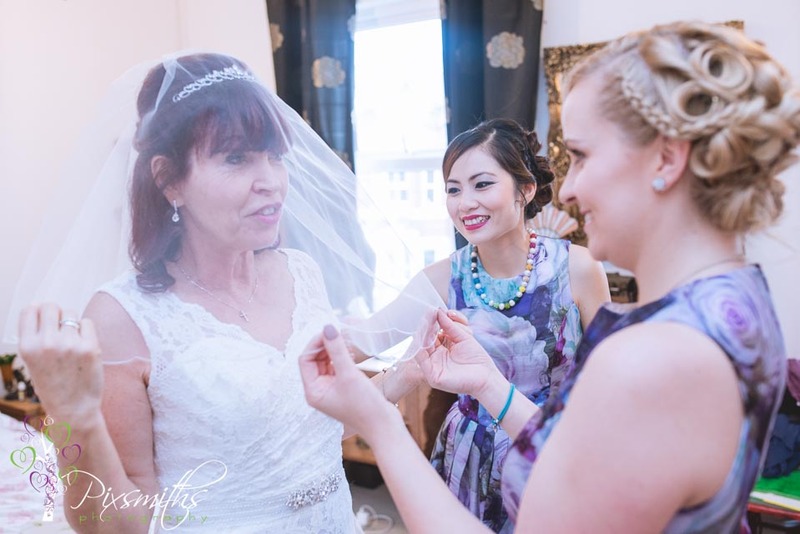 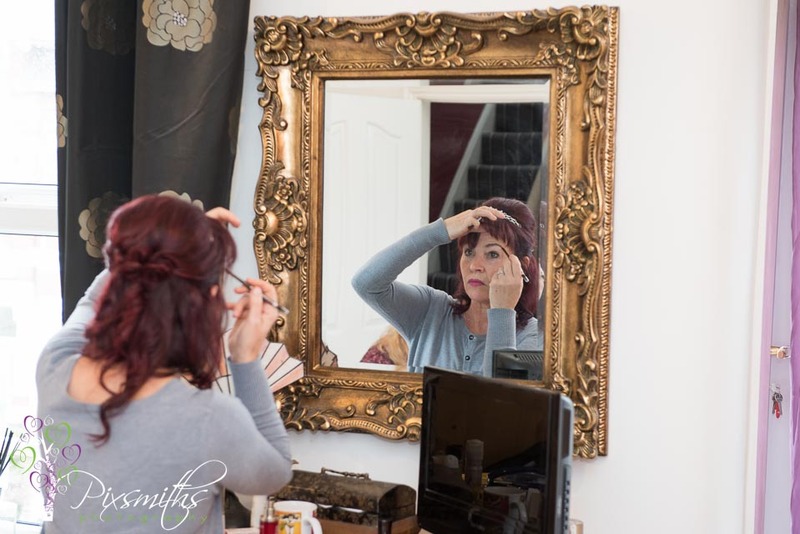 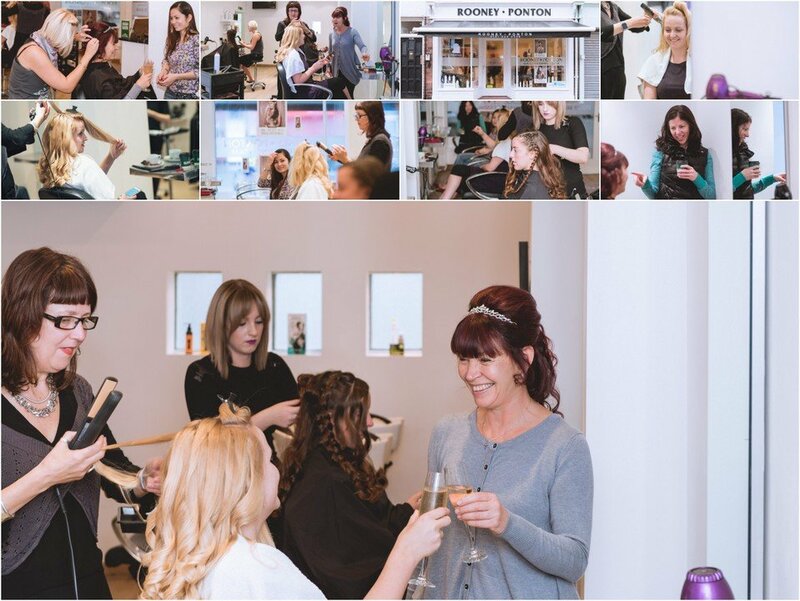 It was literally round the corner to the hairdressers at Rooney Ponton, across the road for the bridal preps and then up the road to St Bridgets for the church service and a cake and prosecco local reception in the Church Hall afterwards. 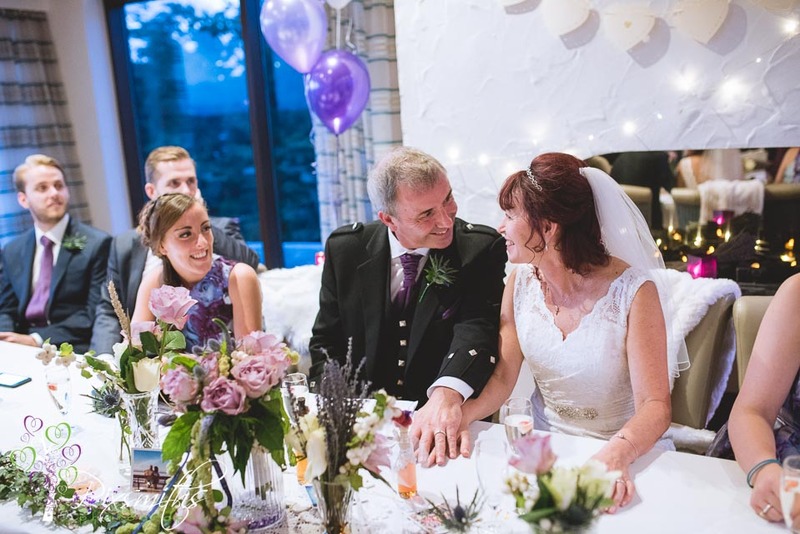 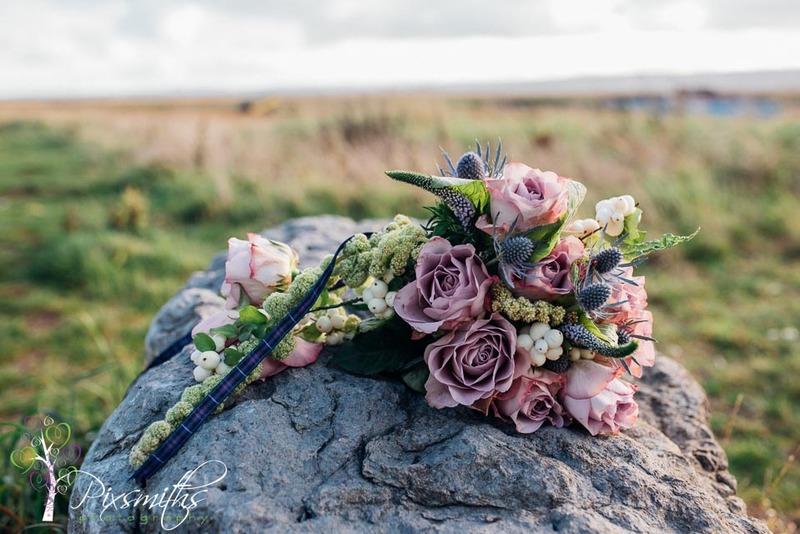 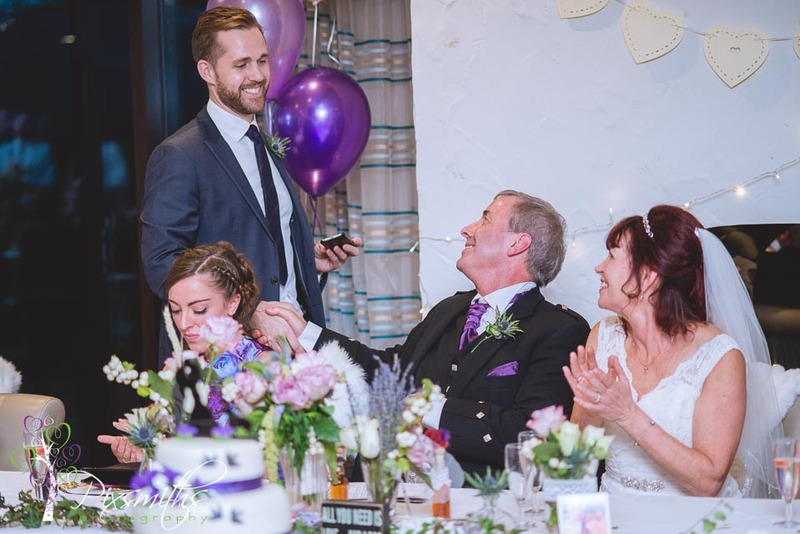 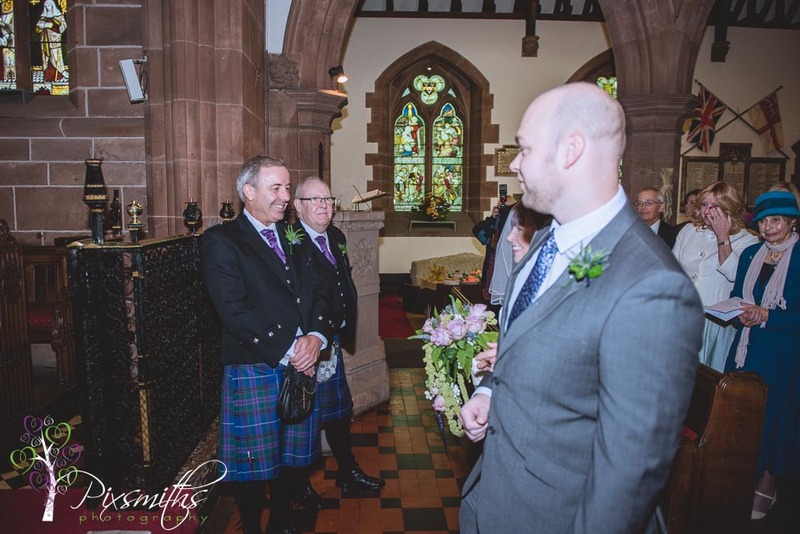 Flowers were from Eden Floral Designs who had cleverley used the tartan used at Ruth’s hen do into her bouquet and the buttonholes. 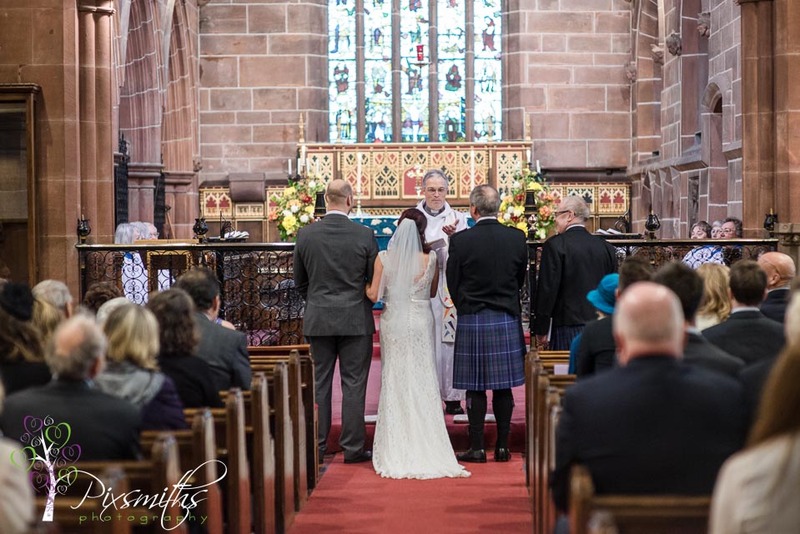 Ruth’s bridal gown with its leg revealing front split was from Opulence in West Kirby. 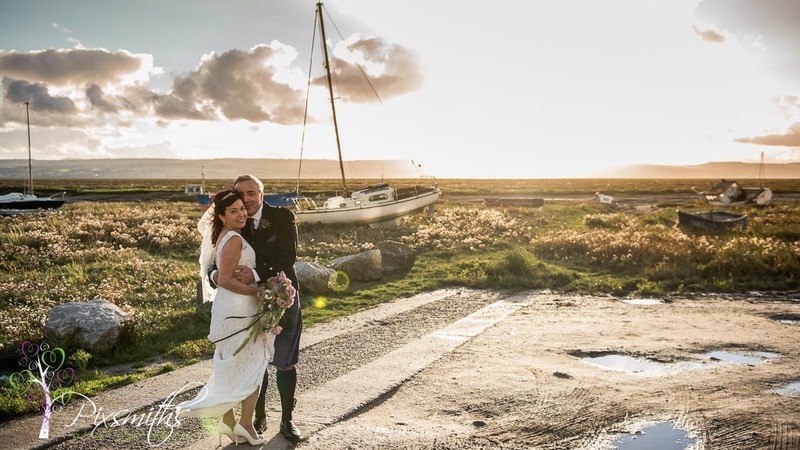 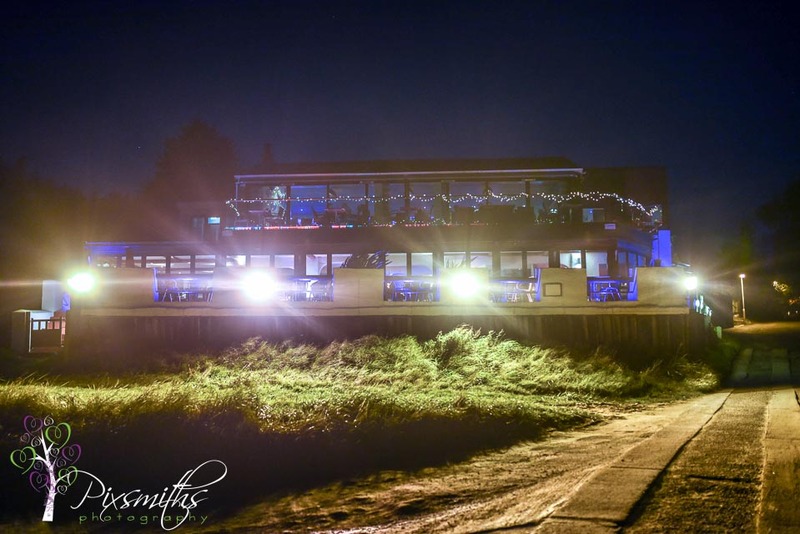 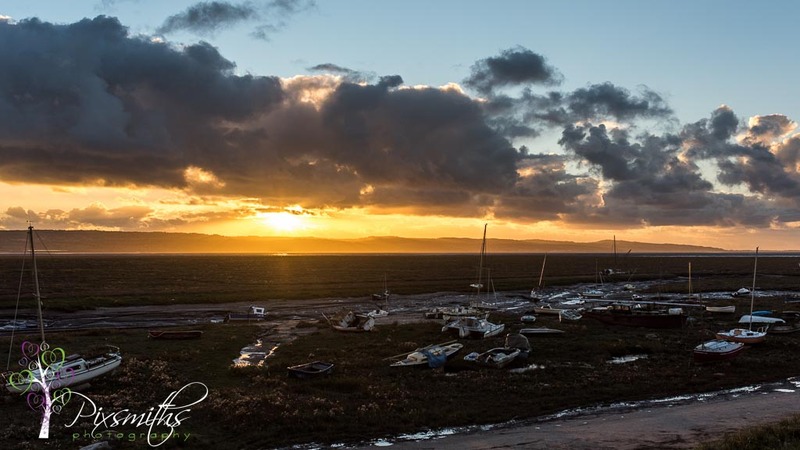 Later we travelled a bit further down the road to Lower Heswall to Sheldrakes, so beautifully situated on the Dee Estuary for the evening speeches and party. 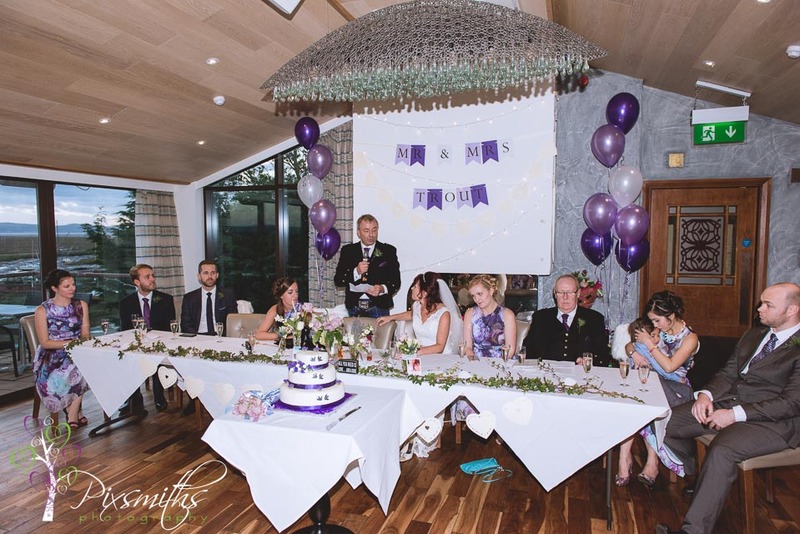 Perfect venue for a reception and staff so accomodating not to mention the tasty elegant food. 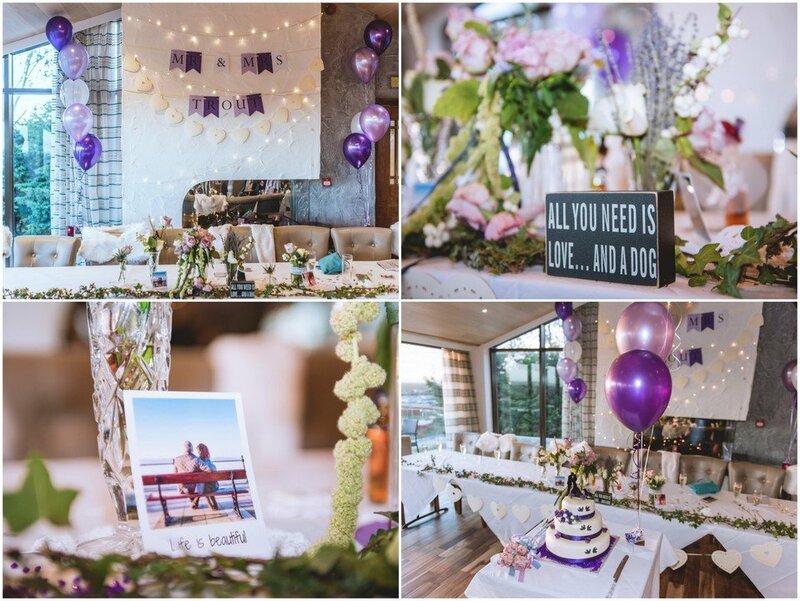 The room had been beautifully bedecked out by Ruth and her girls and balloons supplied by local West Kirby shop Party Paraphernalia. 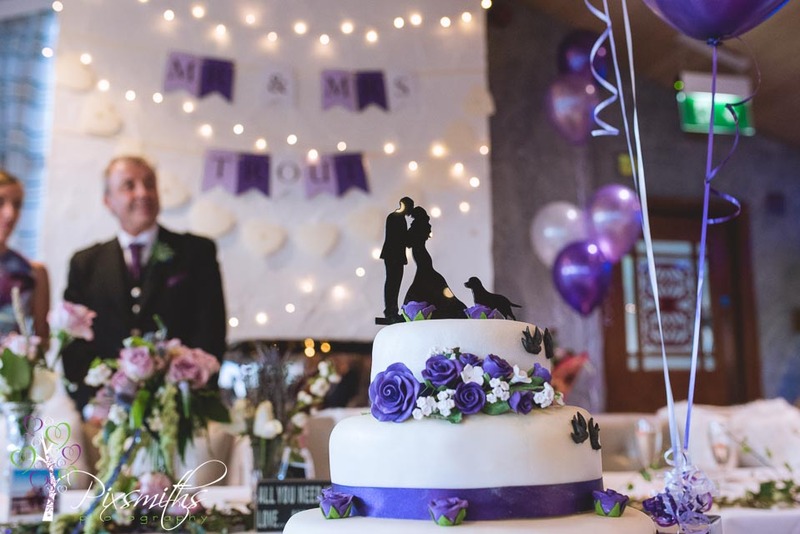 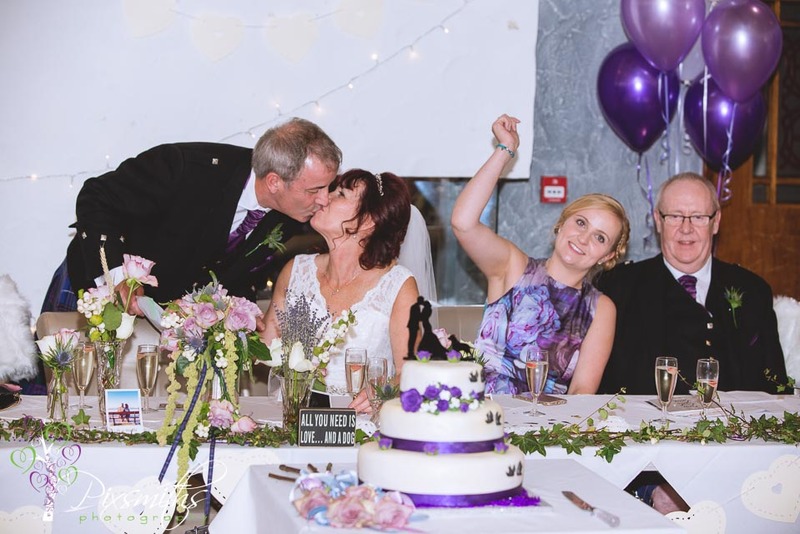 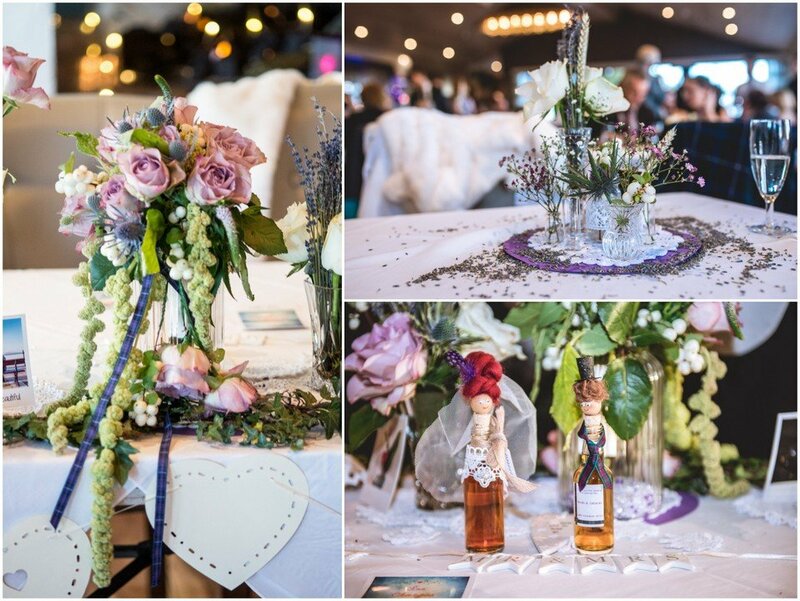 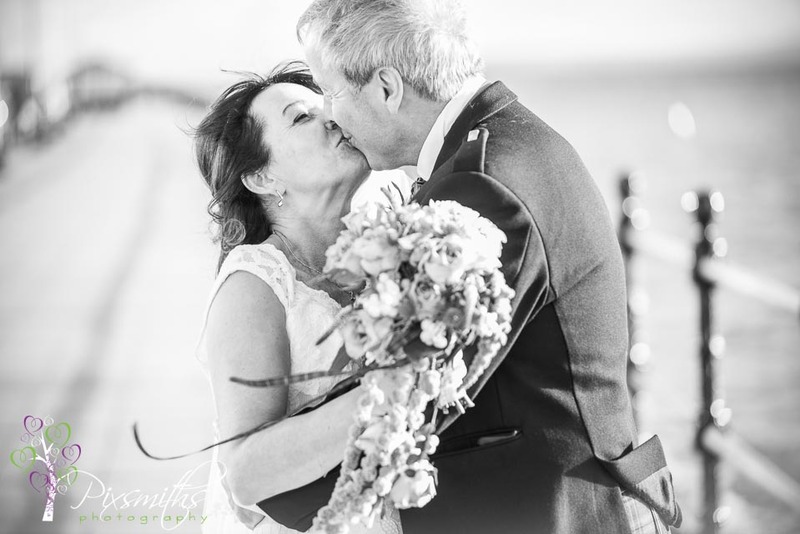 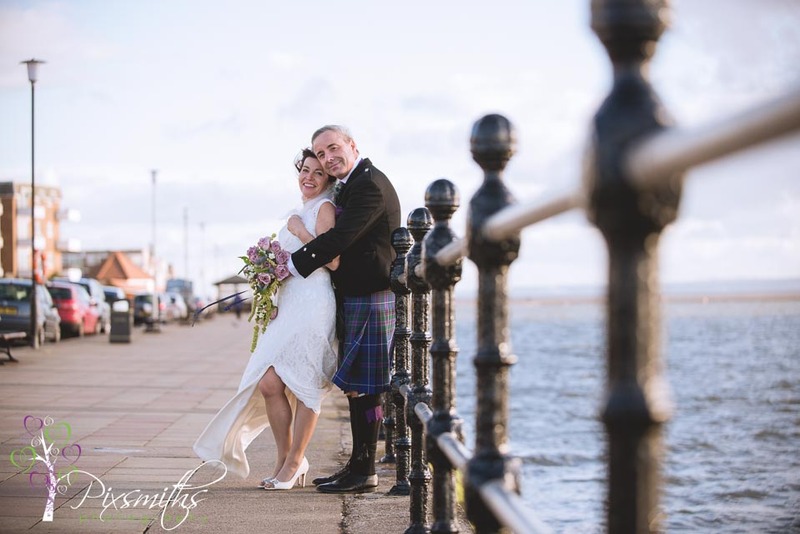 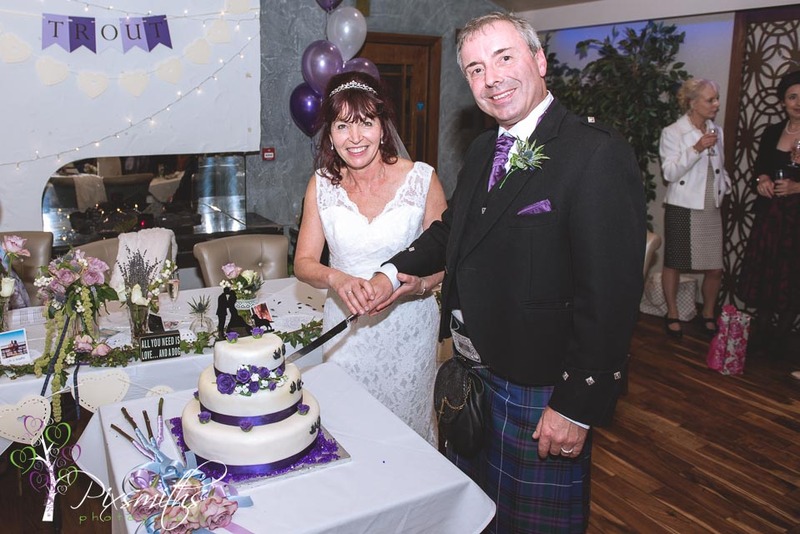 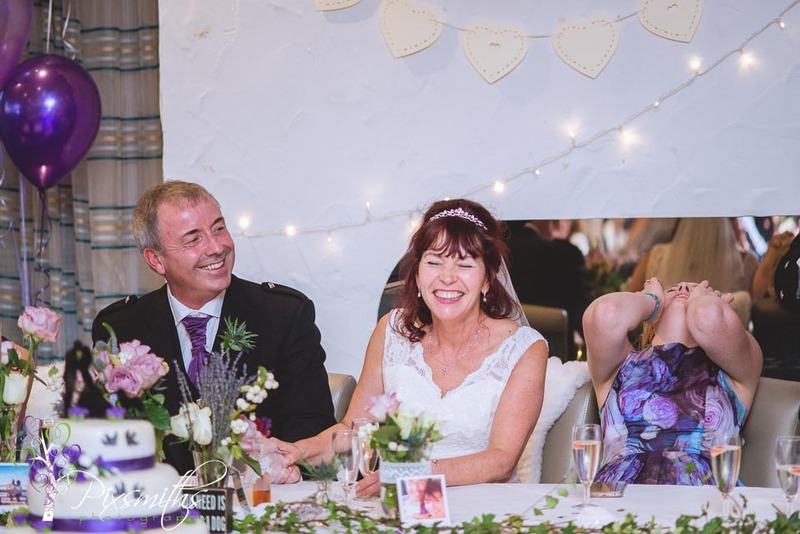 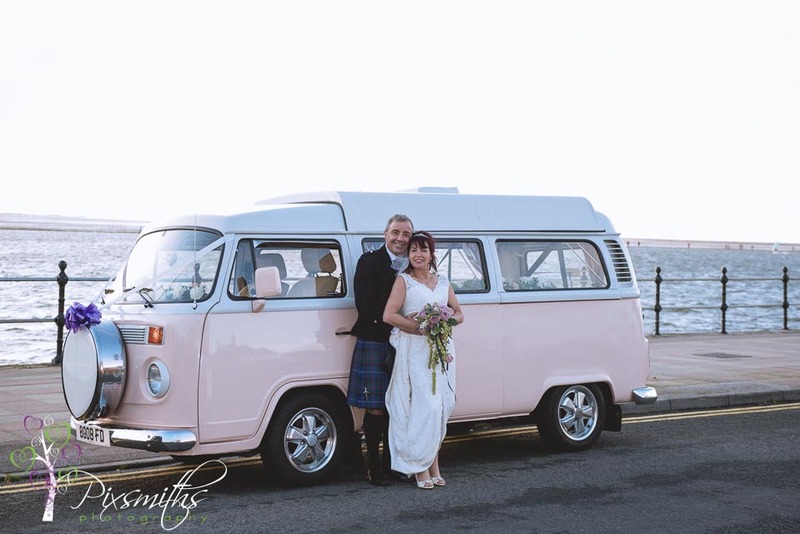 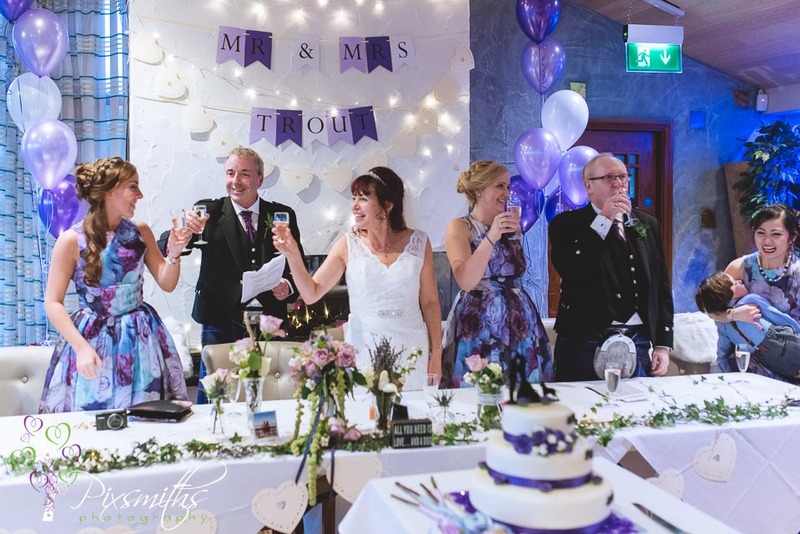 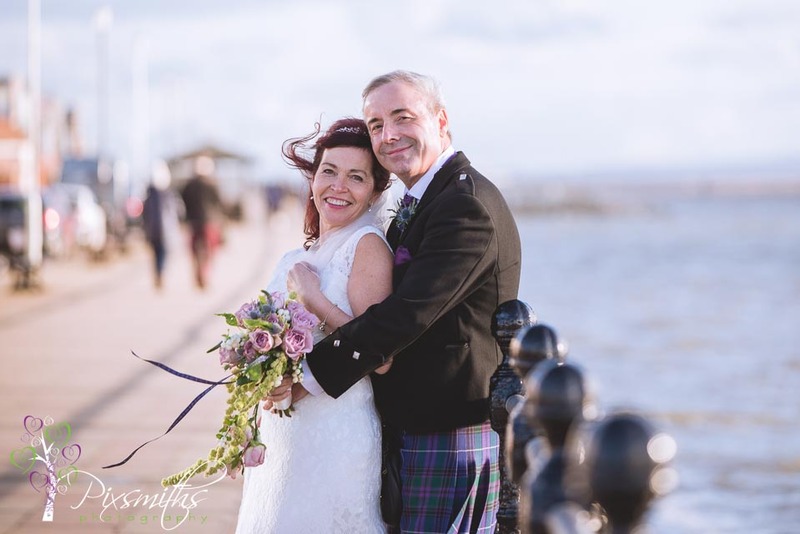 The story of how Ruth and Simon met – walking their dogs along the prom in West Kirby was evident throughout the day with cute retro pictures, the cake topper and the plaque on the top table saying “All you Need is Love …and a dog. 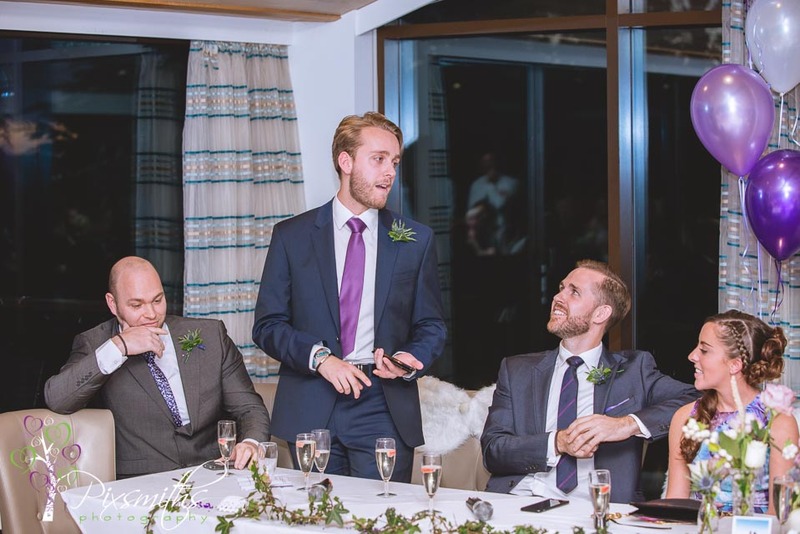 An amusing poem about Love (dog) was highlight of the speeches. 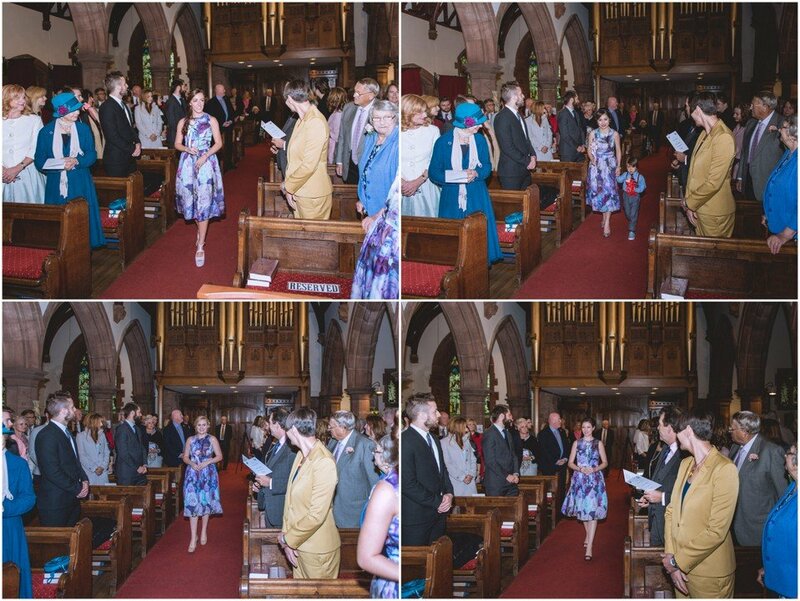 Ruth is a runner (check out those legs!) 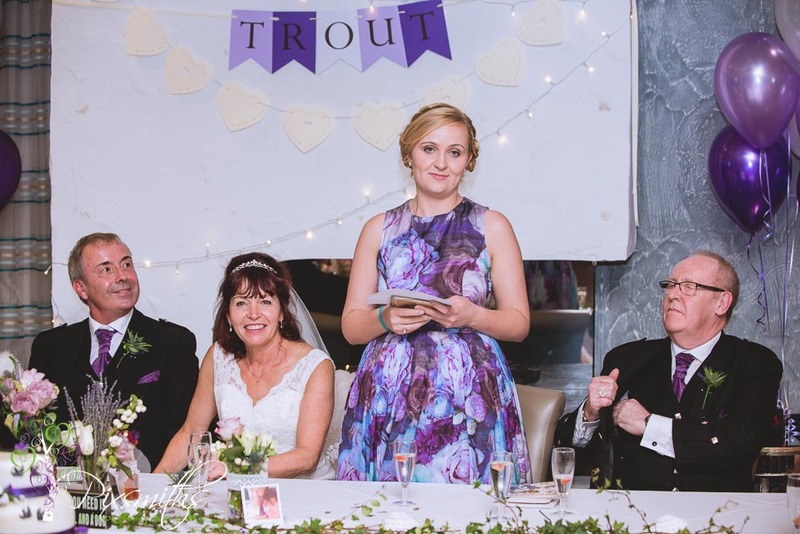 and recently ran the Great Northern Rub, training Simon to run with her, adorned in a tutu and a ball and chain…typifying the fun loving people they are. 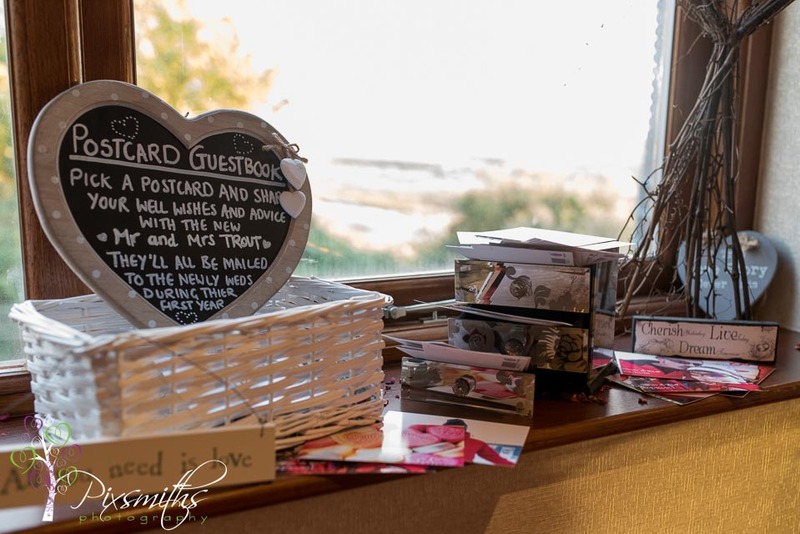 So many delightful original ideas and details went into the day, I must say Mim, Ruth’s daughter had a fantastic yet simple idea of setting up a guest book using personalised postcards for guests to write their messages on which would then be posted throughout their first year as “trickle of happiness”, so inventive and I know will be really appreciated. 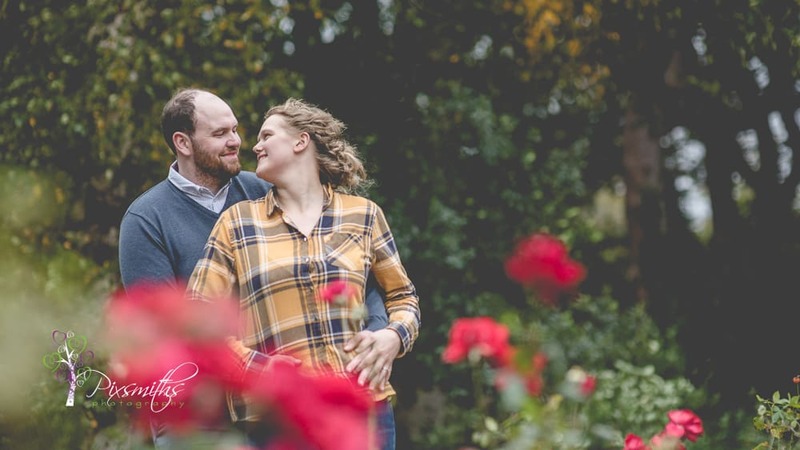 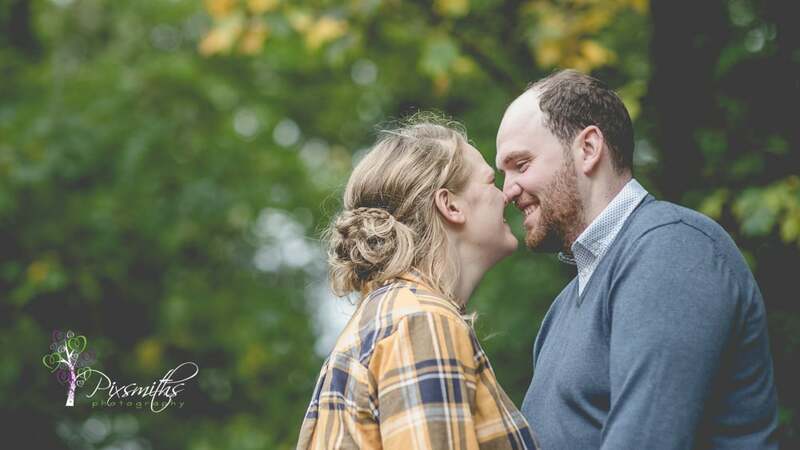 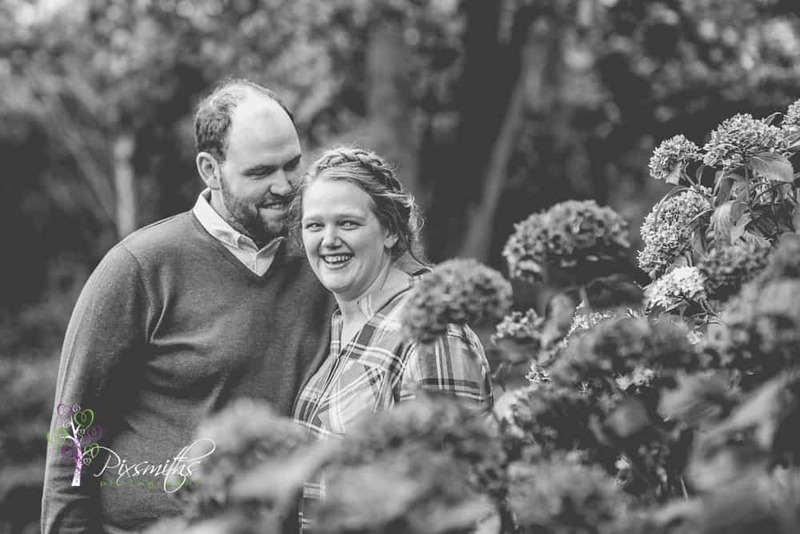 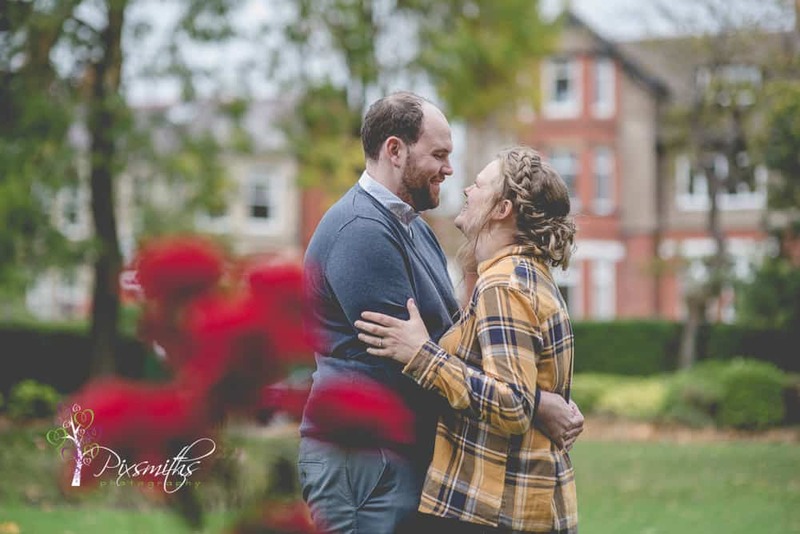 So delighted that Ruth and Simon’s day was just want they wanted and they are delighted with their images, portraying their love for one another. 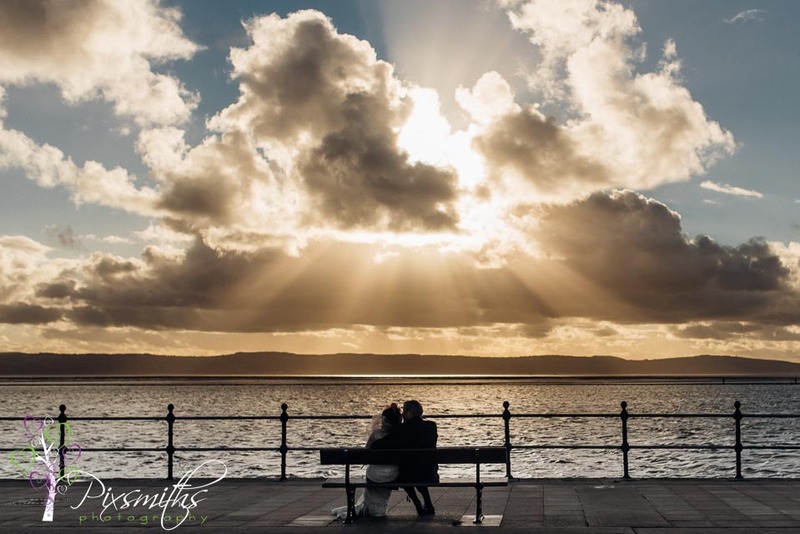 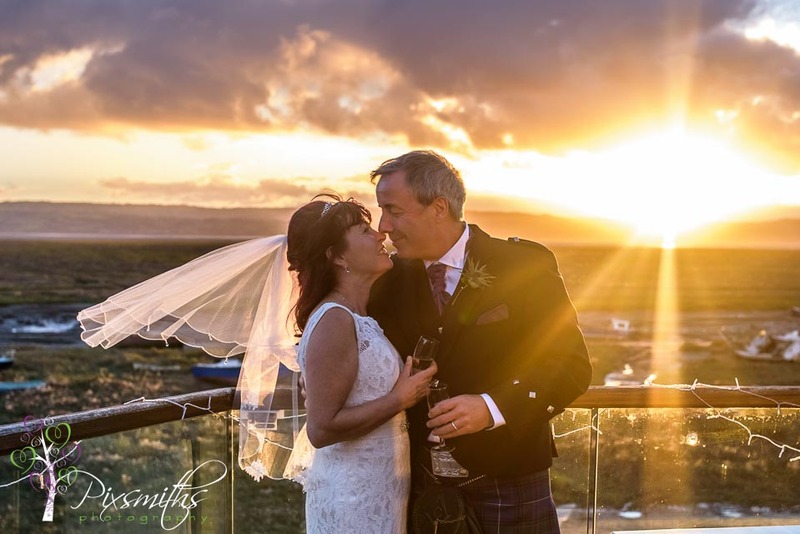 So happy we got a special meaningful shot for them on their West Kirby promenade bench..the sun rays bursting through the clouds was just one of those perfect cannot be planned moments. 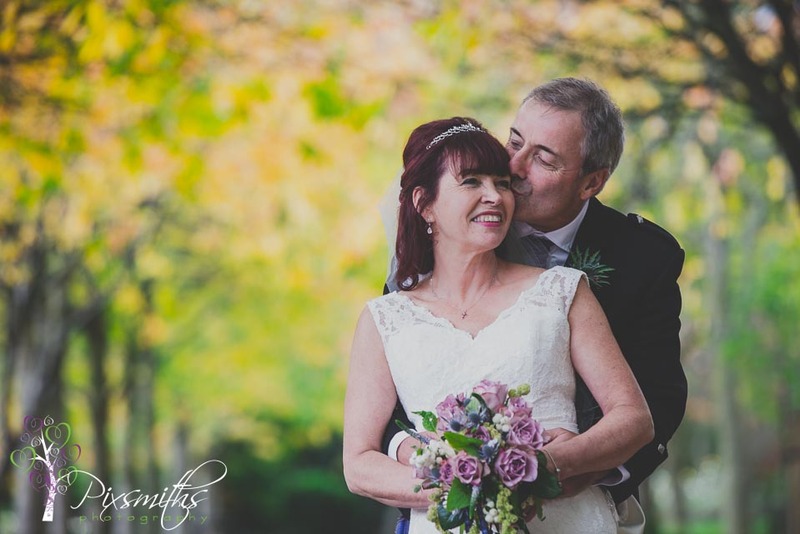 Ruth and Simon thank you for giving us such a privilege to capture your wedding and we wish you much continued happiness. 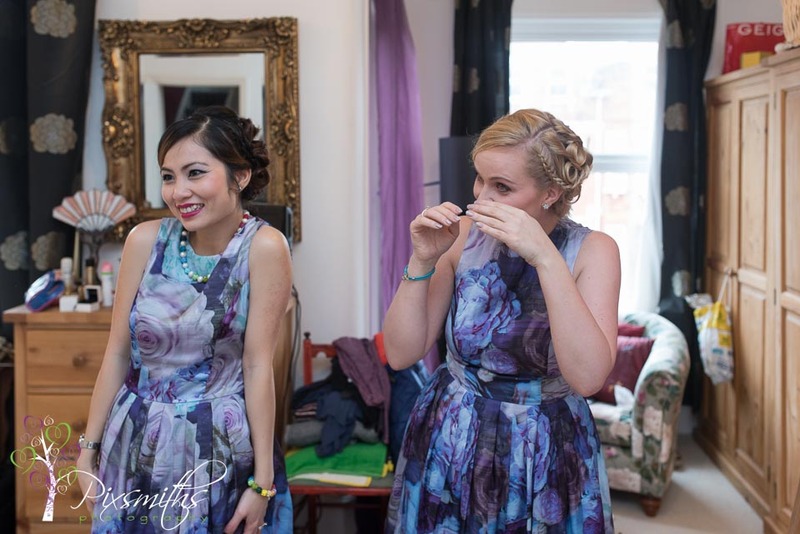 How cute are these little bottle people from www.littlebottles.co.uk ! 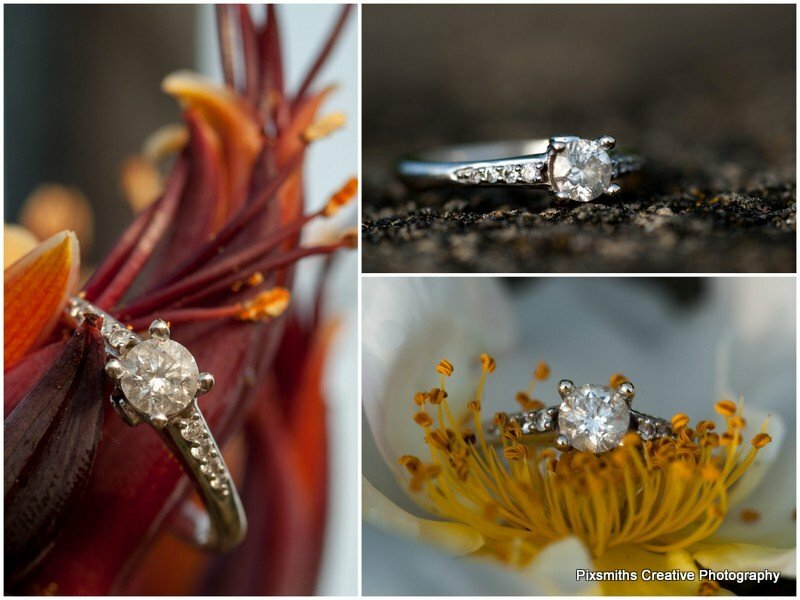 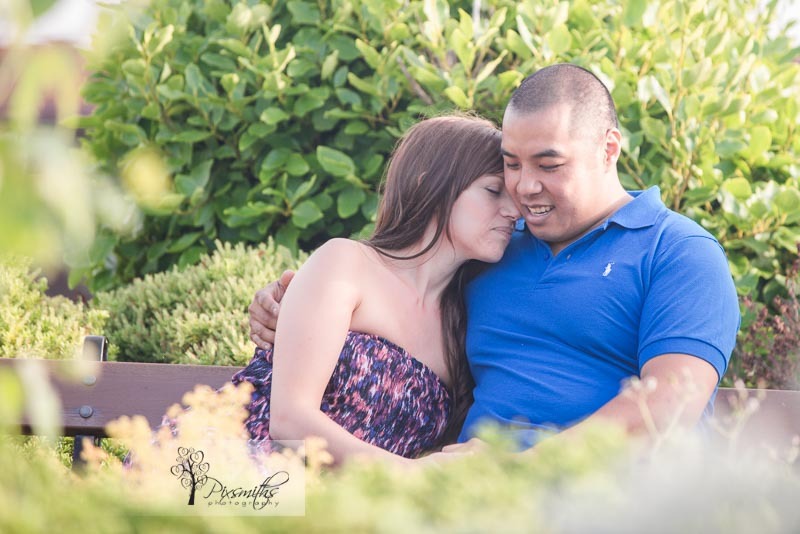 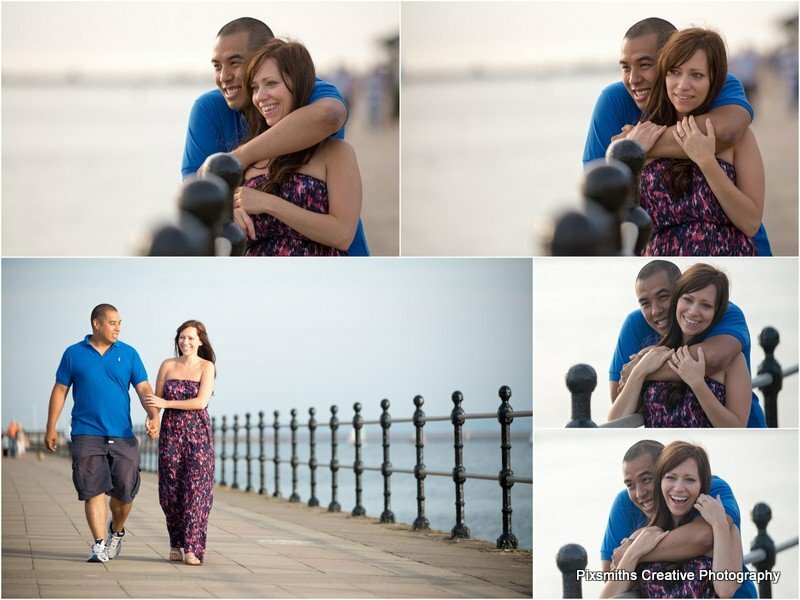 Just how we like to shoot, capturing moment and emotion, whether a pre wedding/engagement shoot or the wedding itself. 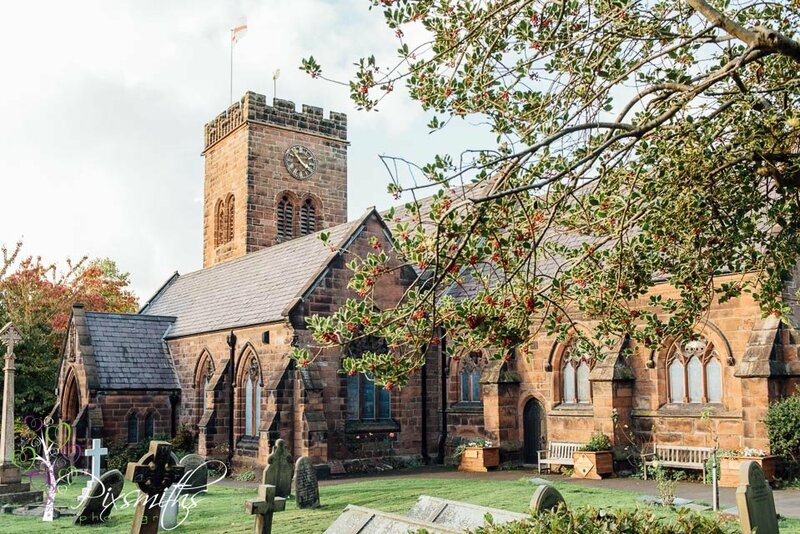 Well its not long to their day which will be a Wirral wedding church ceremony and then on to their reception at the beautiful Plas Hafod, just next month …so looking forward to it. 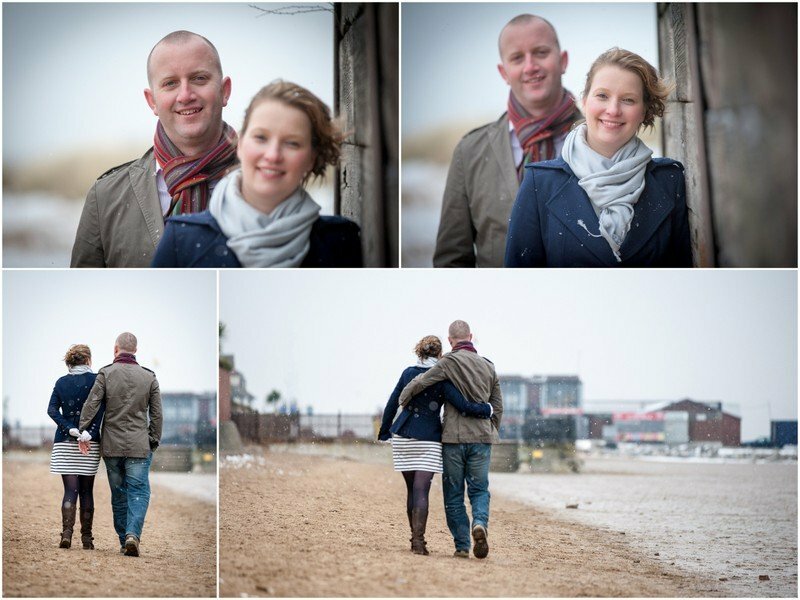 Here a few images as we strolled around West Kirby’s promenade and marina with them….well they hardly knew we were there! 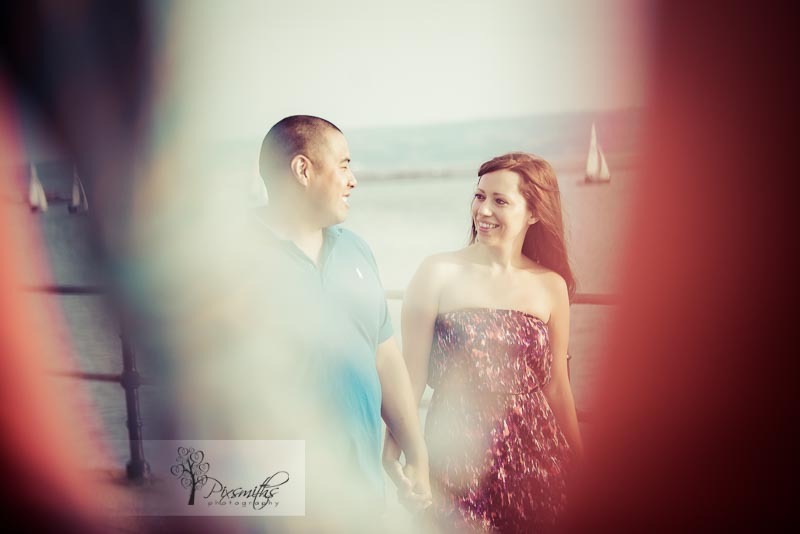 Catching up with some engagemet sessions still! 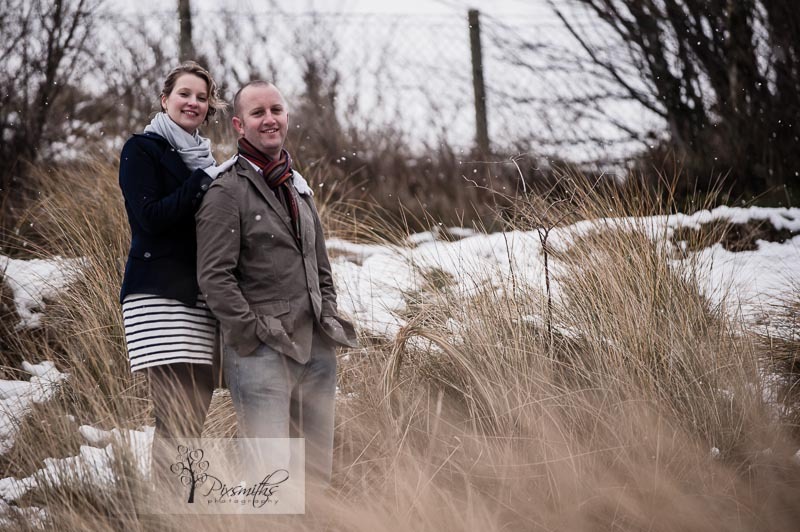 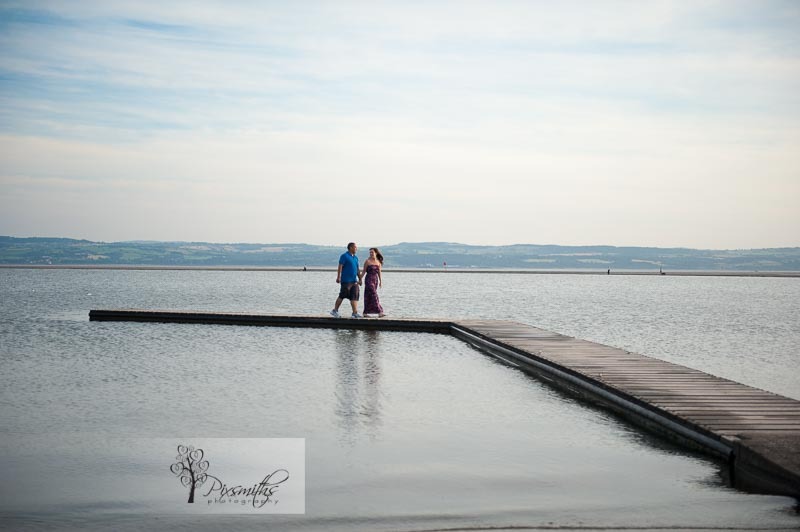 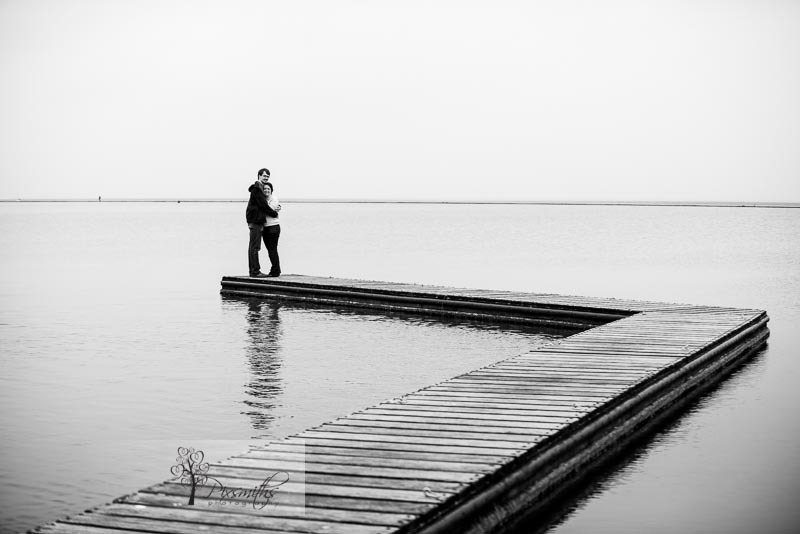 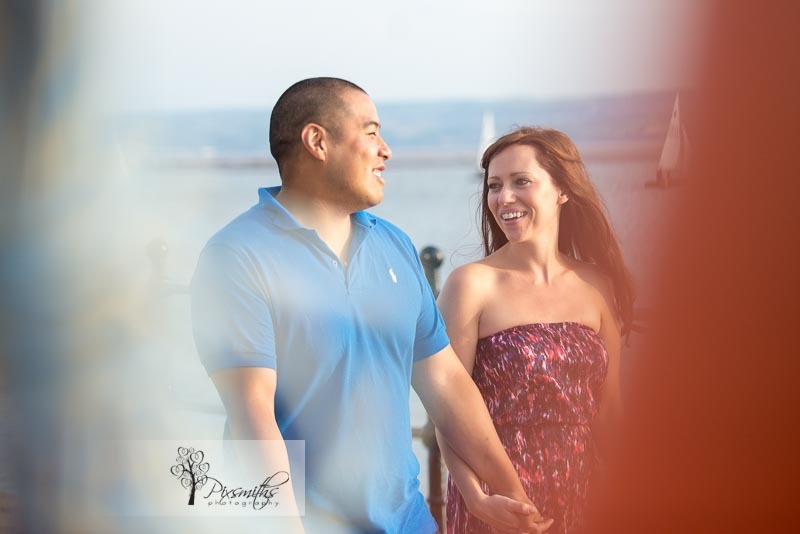 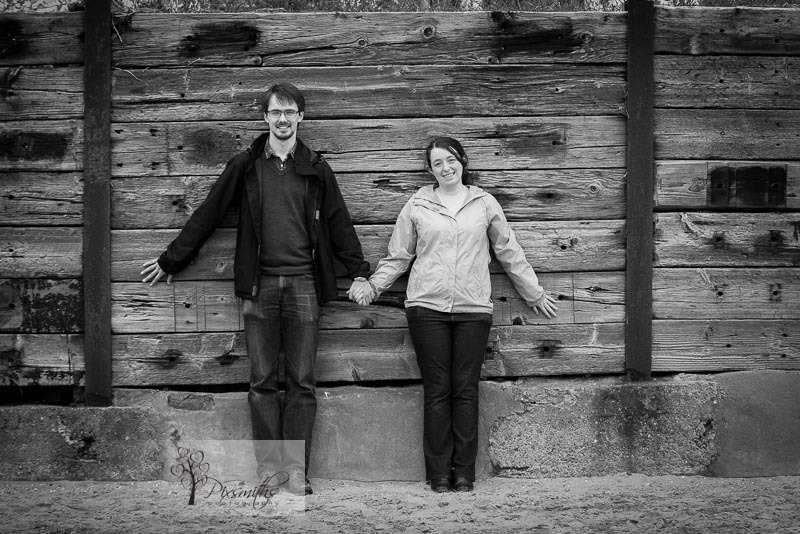 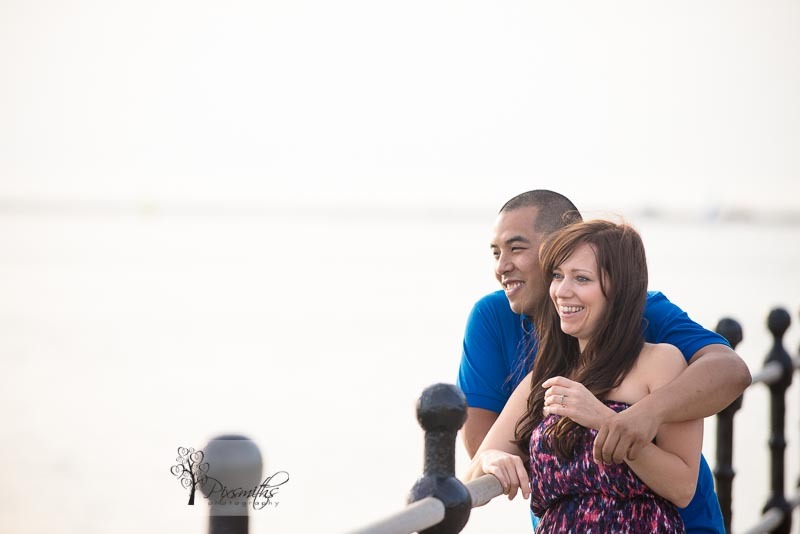 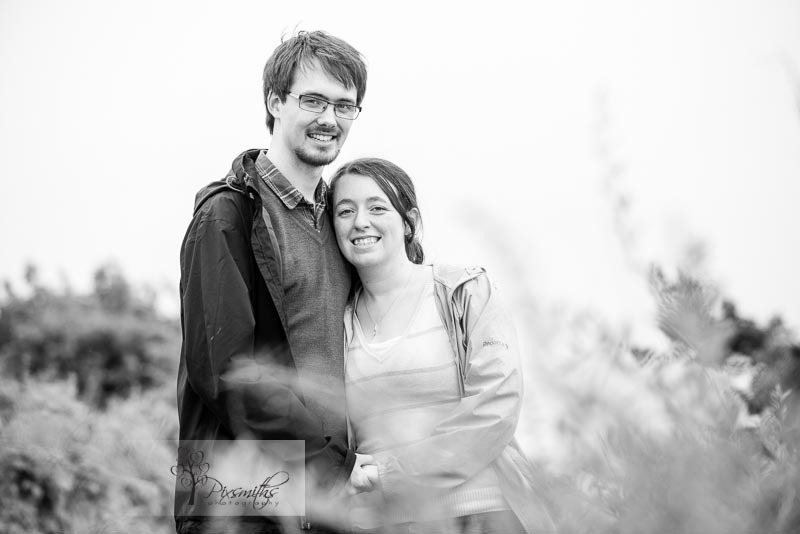 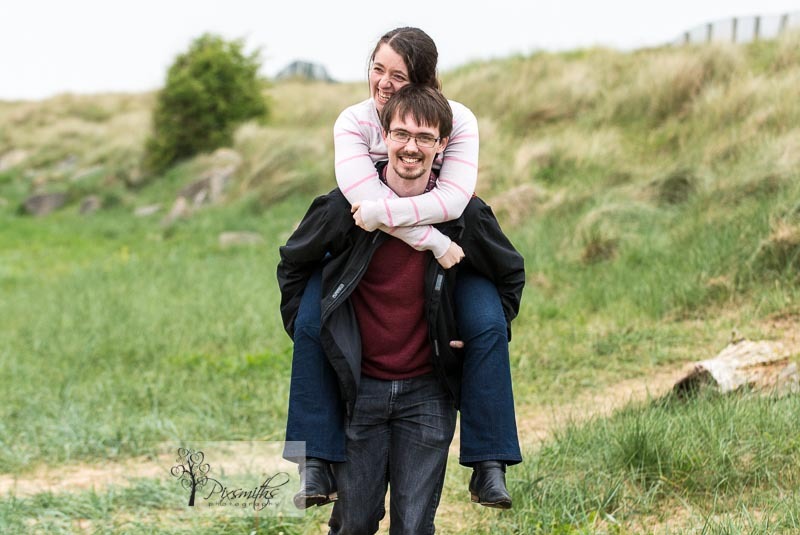 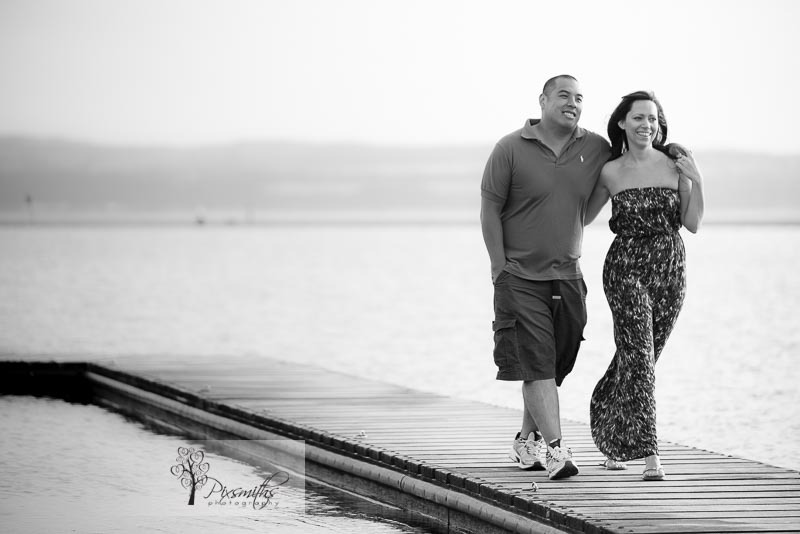 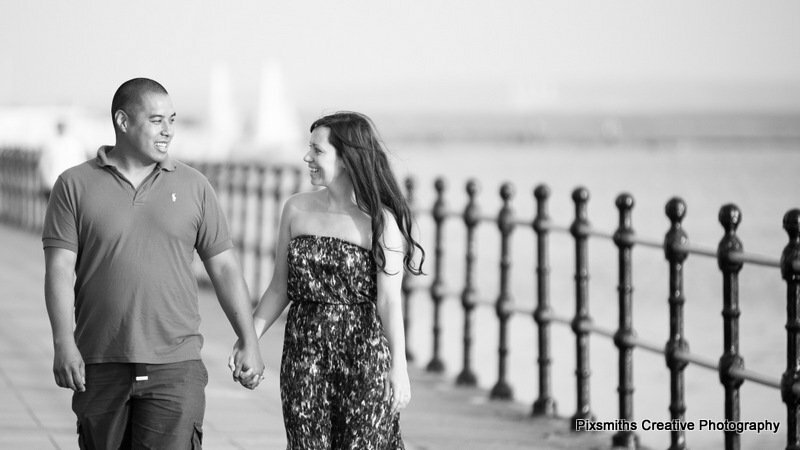 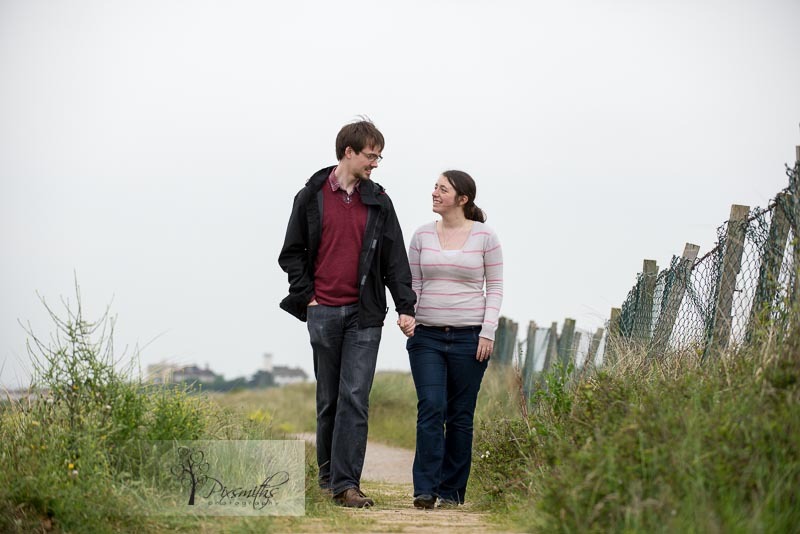 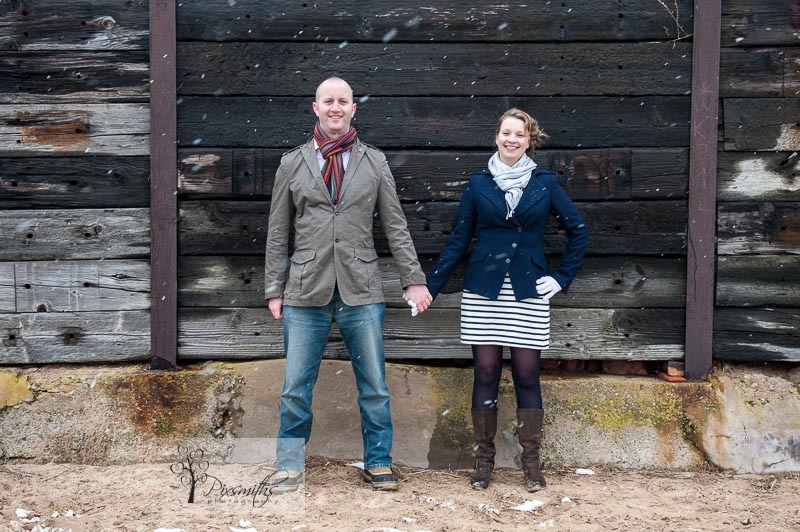 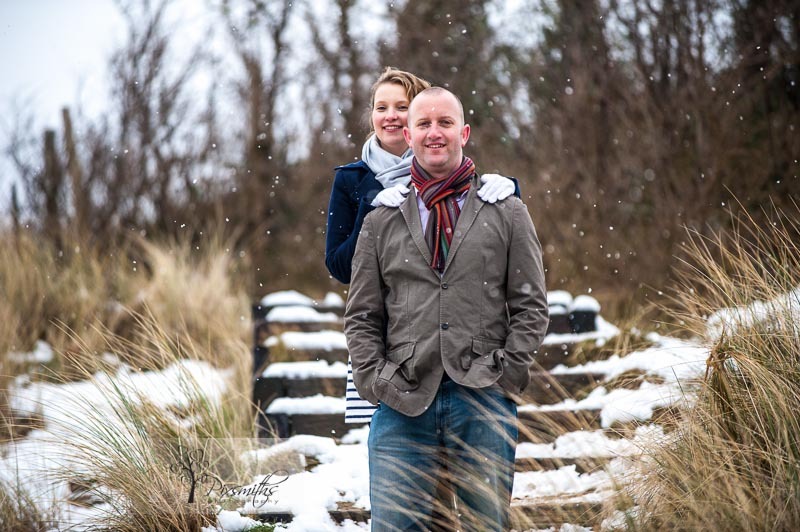 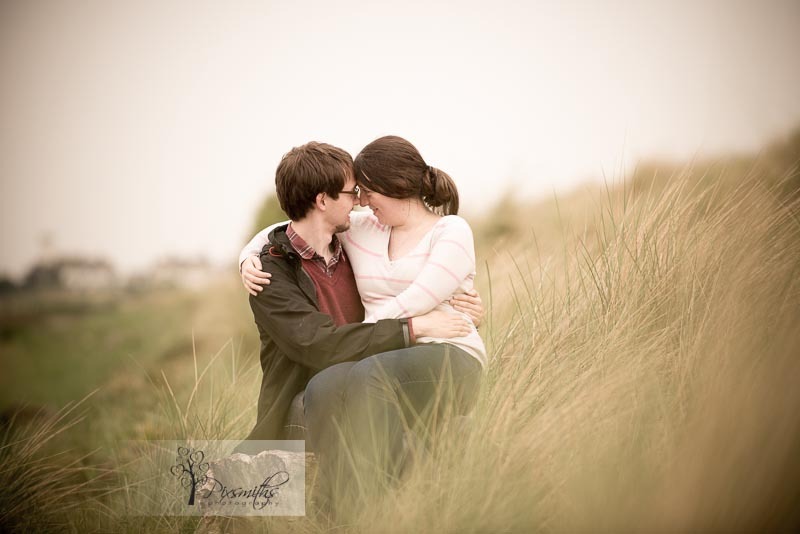 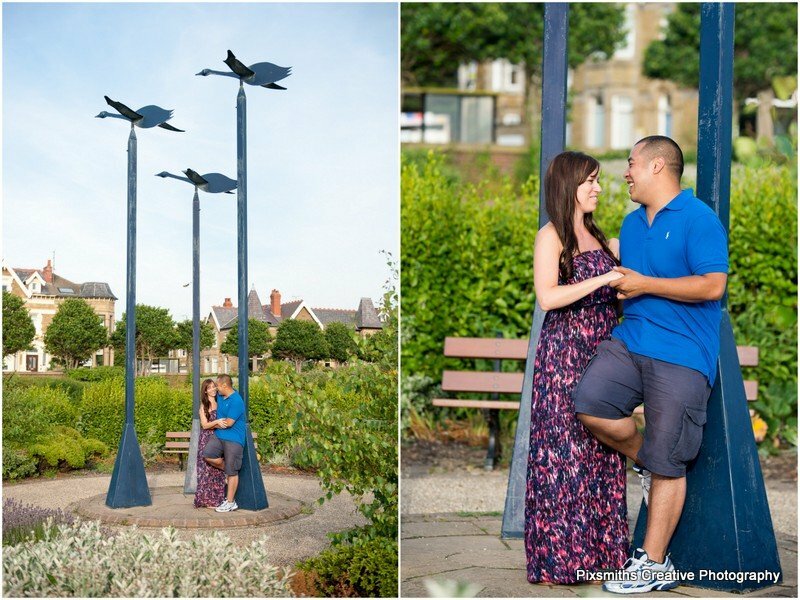 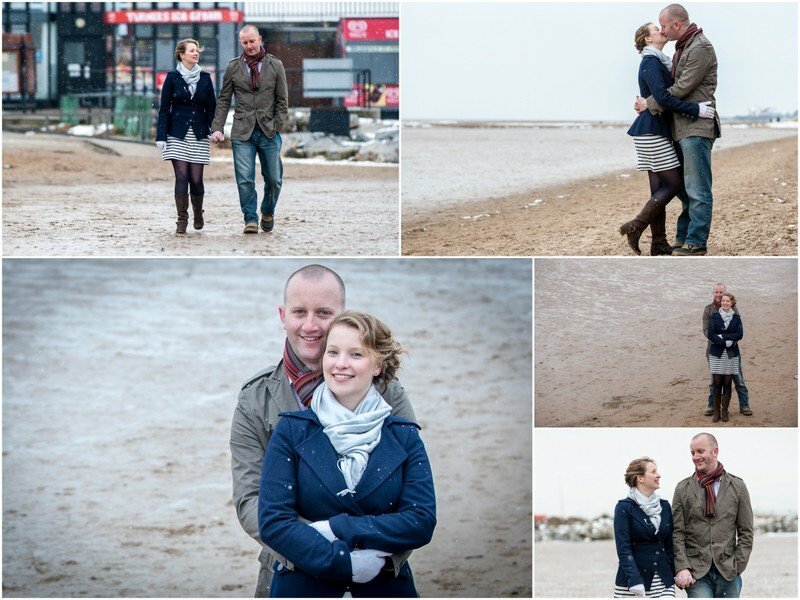 This time its Kath and Peter’s turn for a pre wed shoot enjoying a stroll around West Kirby marina and beach. 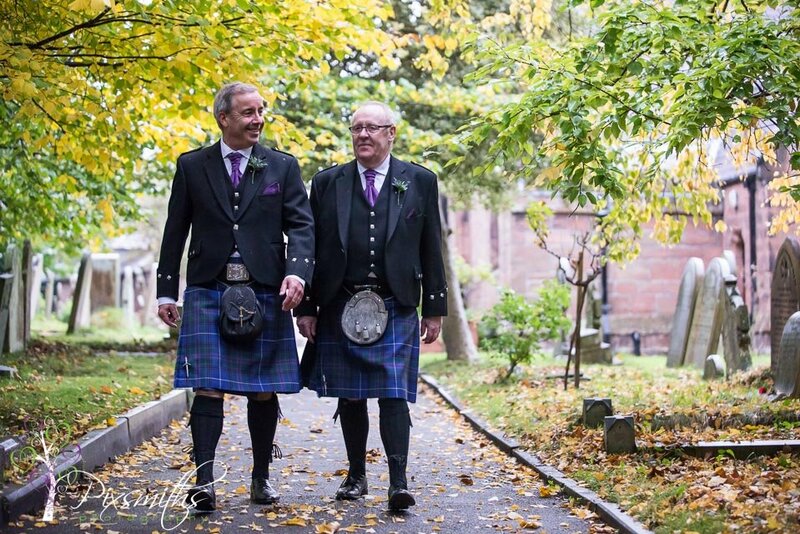 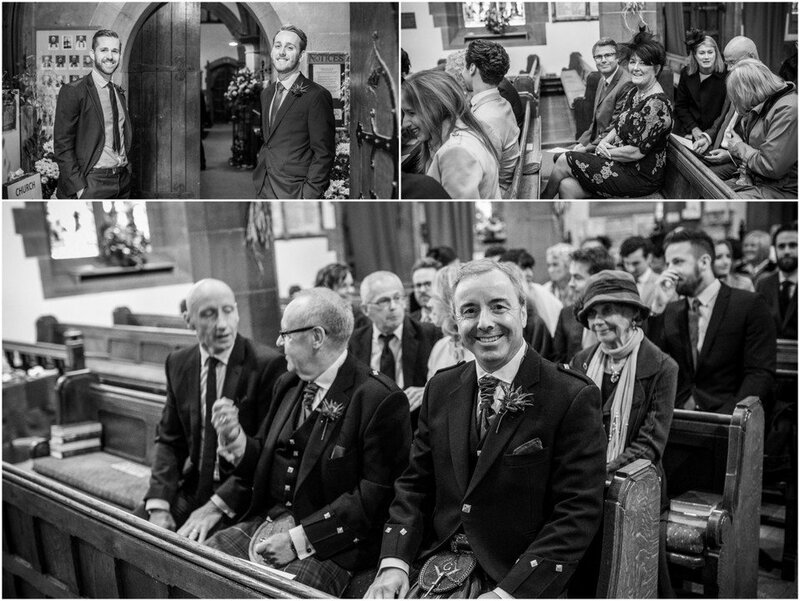 Not long to their July weddding – a local affair at the URC West Kirby where we had the pleasure of shooting their friend Dan and Sam’s wedding – in fact Dan will be best man and Sam matron of honour. 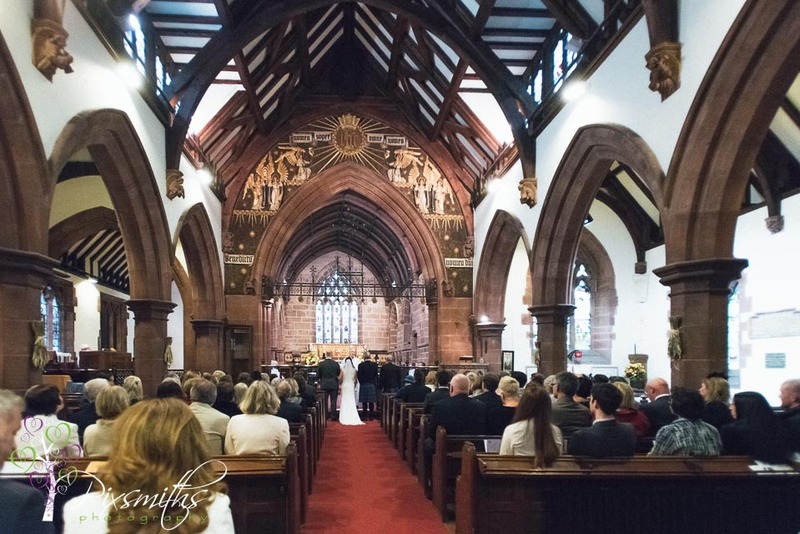 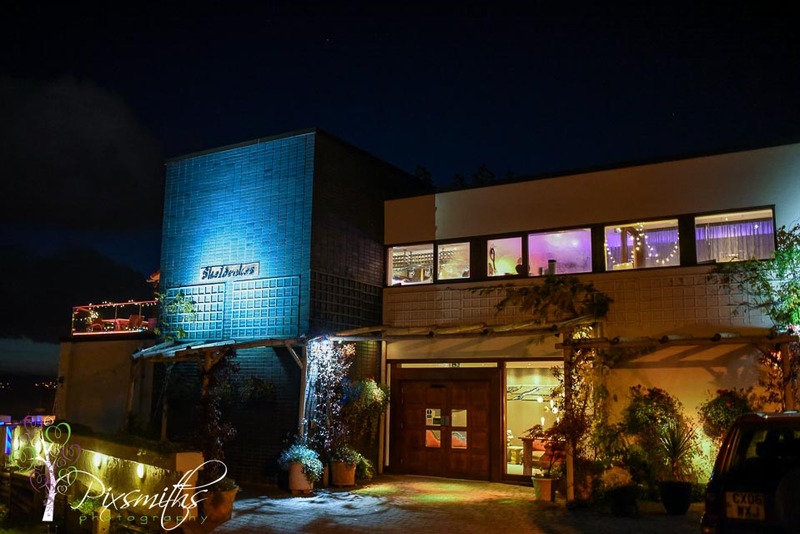 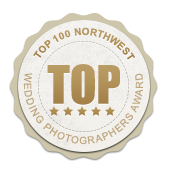 Reception will follow at Inglewood Manor – oneof our favourite venues. 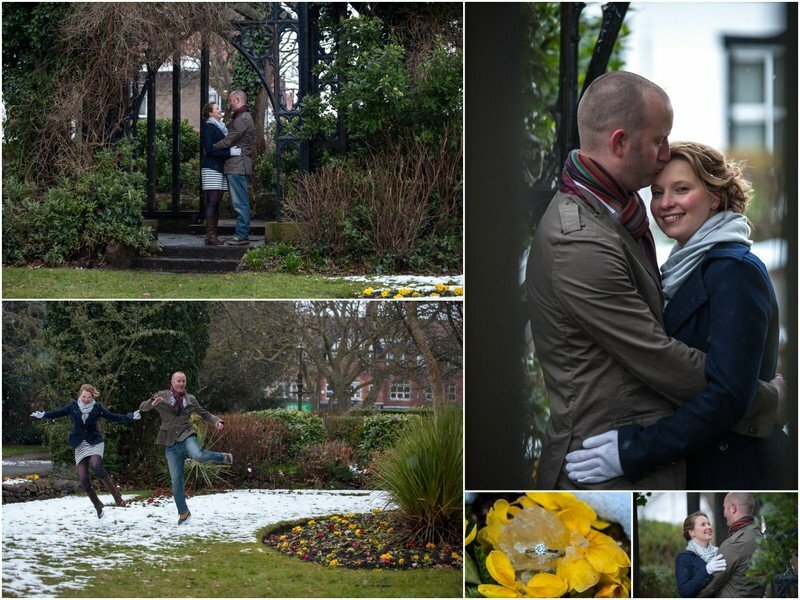 It was a bit of a grey day but hopefully these images cheered them up so enjoy a few of their images from their session with us. 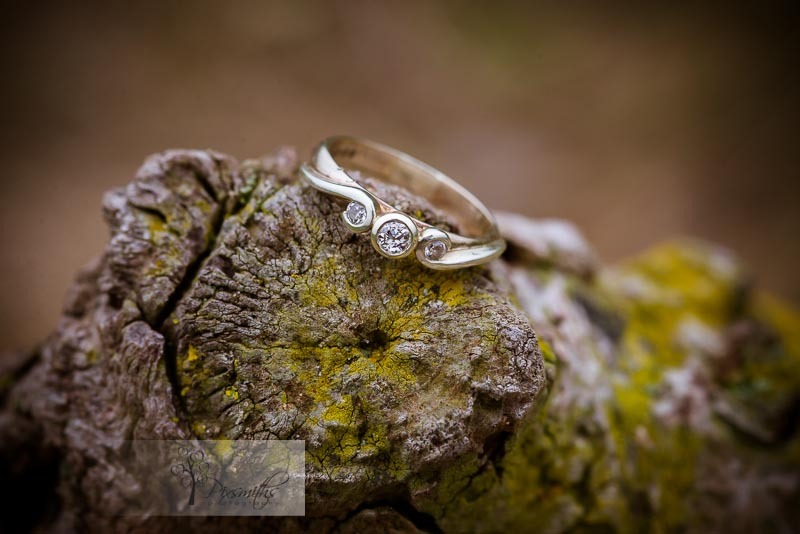 Pete had a hand in designing Kath’s ring – making sure it included some swirls which she loves! 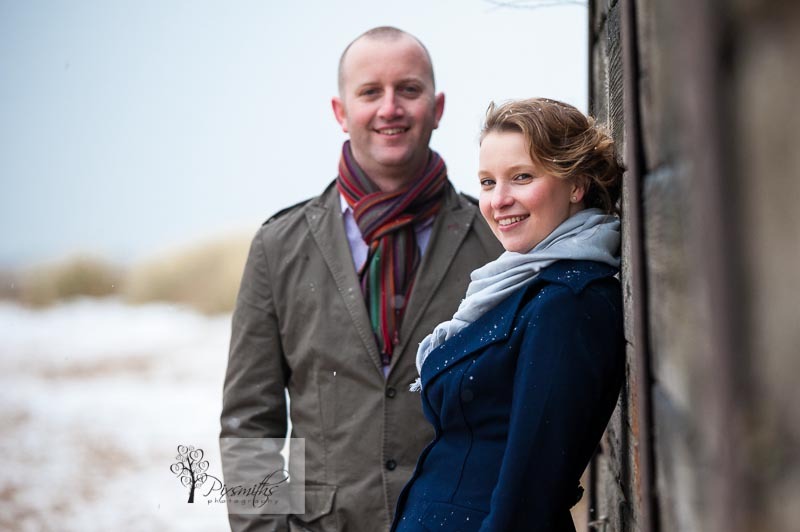 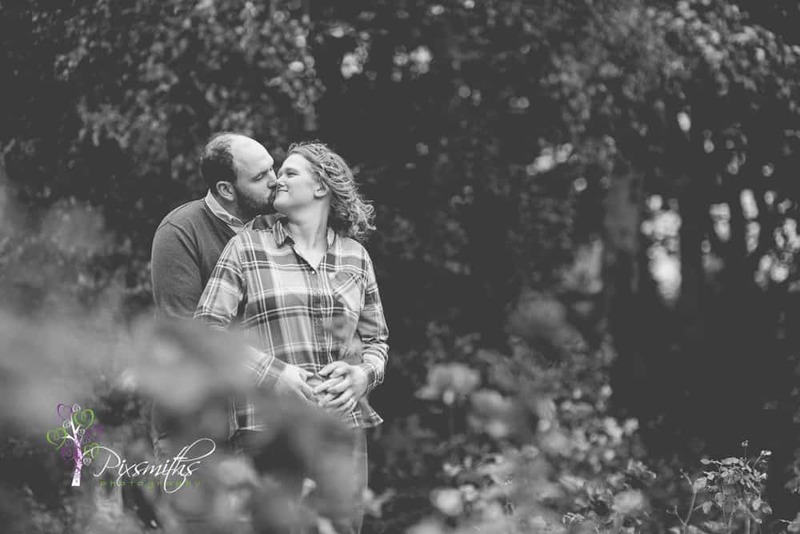 Hannah and Andrew live in Leeds but are getting married in the beautiful village of Burton. 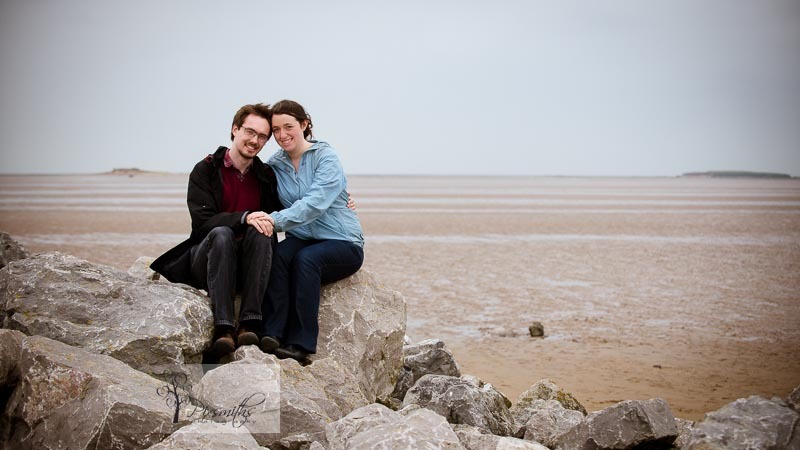 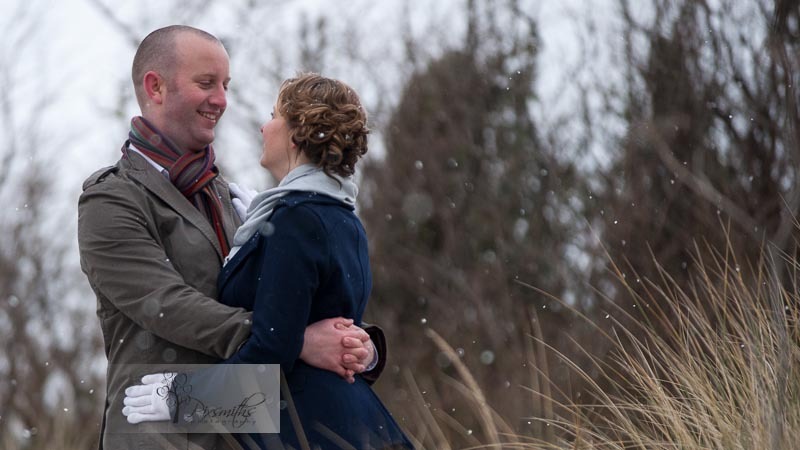 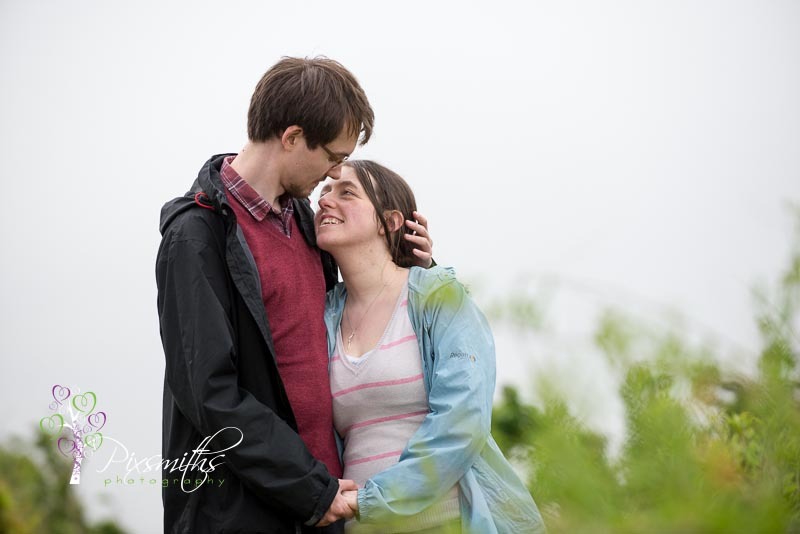 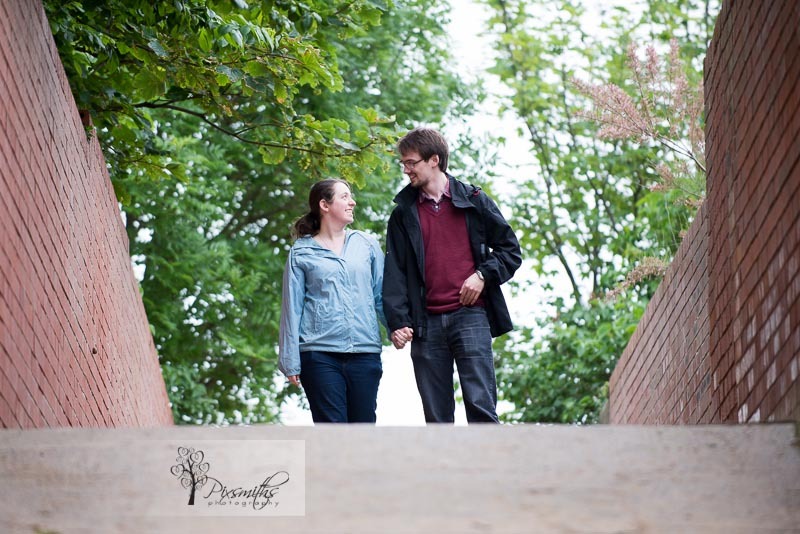 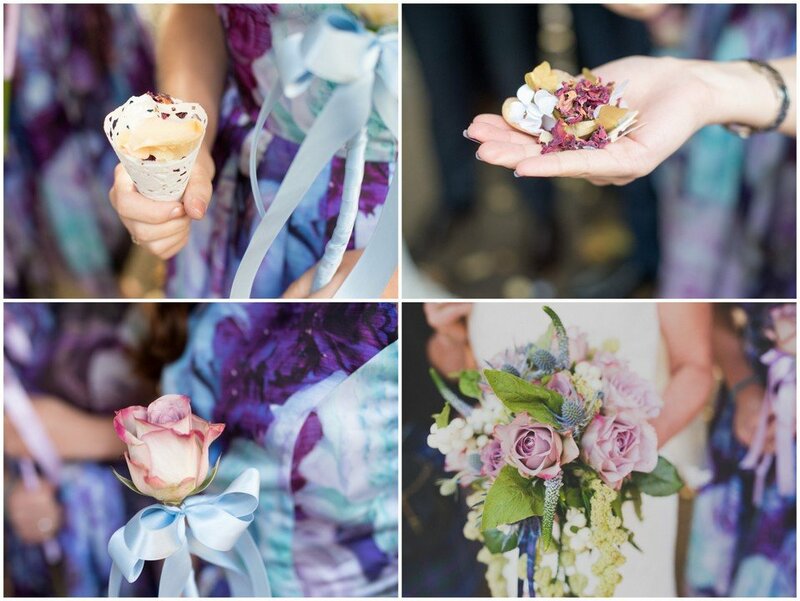 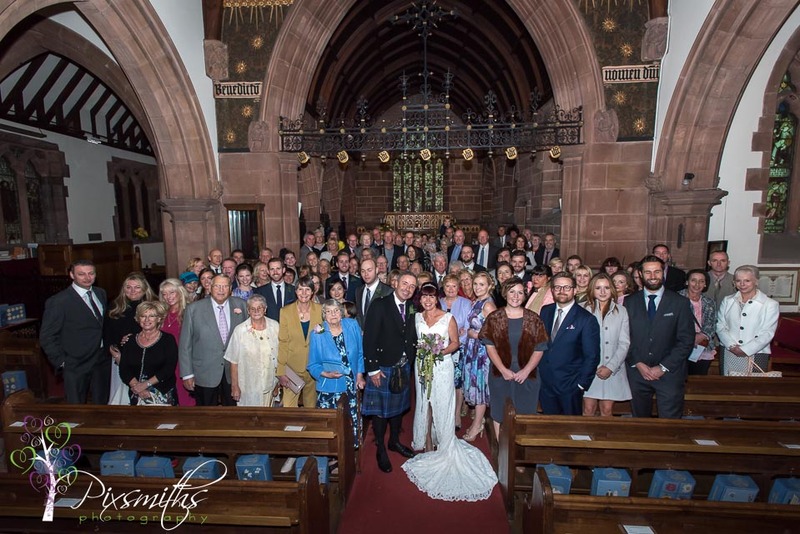 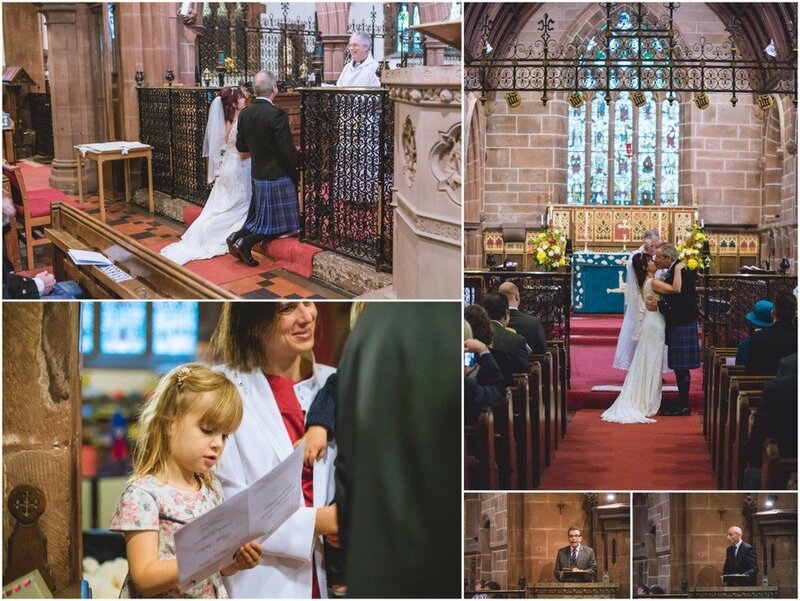 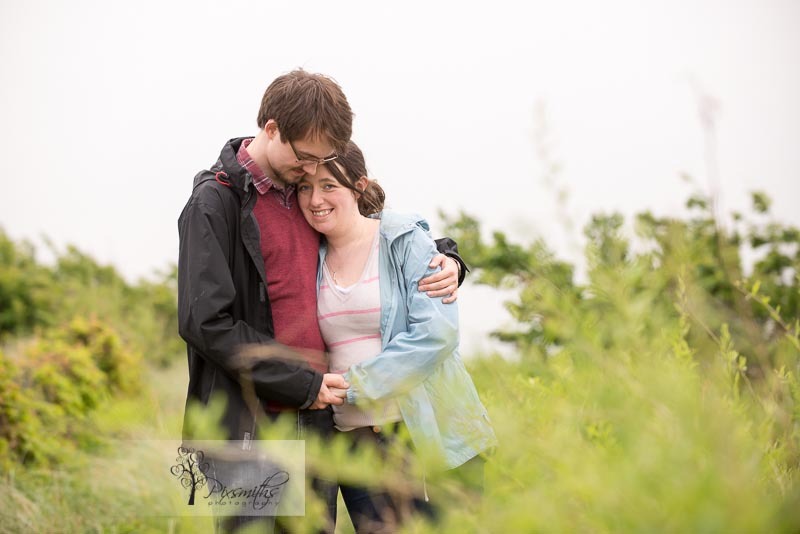 Last weekend it was another round of wedding planning for them as they visited the Wirral. 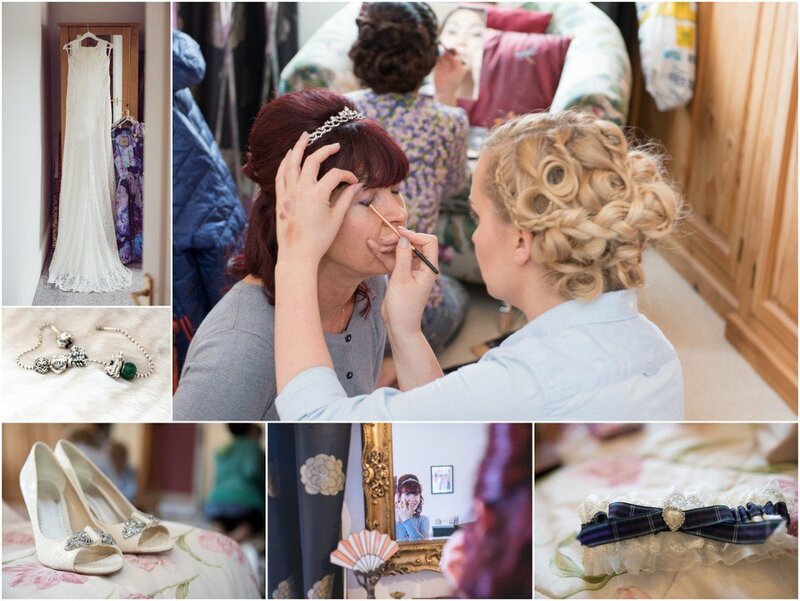 Hair trial, with Emma Lampkin, co-incided nicely with their pre wedding shoot with us. 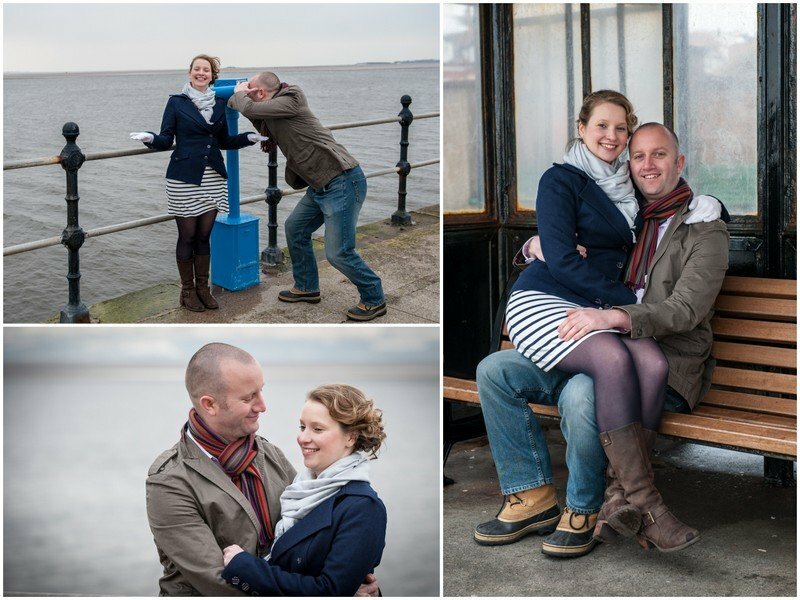 It was a little bit chilly and a there were a few flakes of snow around but we had a good stroll along the promenade in West Kirby and onto the beach for a few shots before heading for steaming mugs of chocolate and coffee in a local cafe. 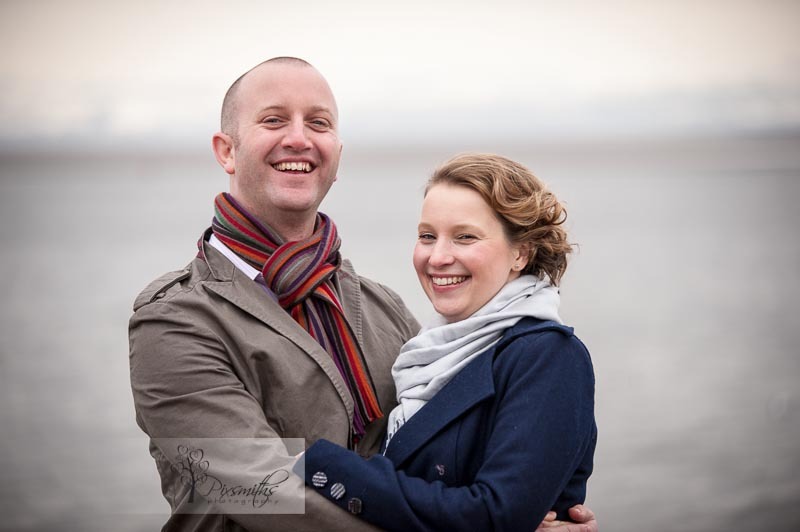 So glad we could go ahead with the shoot as Hannah and Andrew won’t be back on the Wirral until just before their wedding in June. 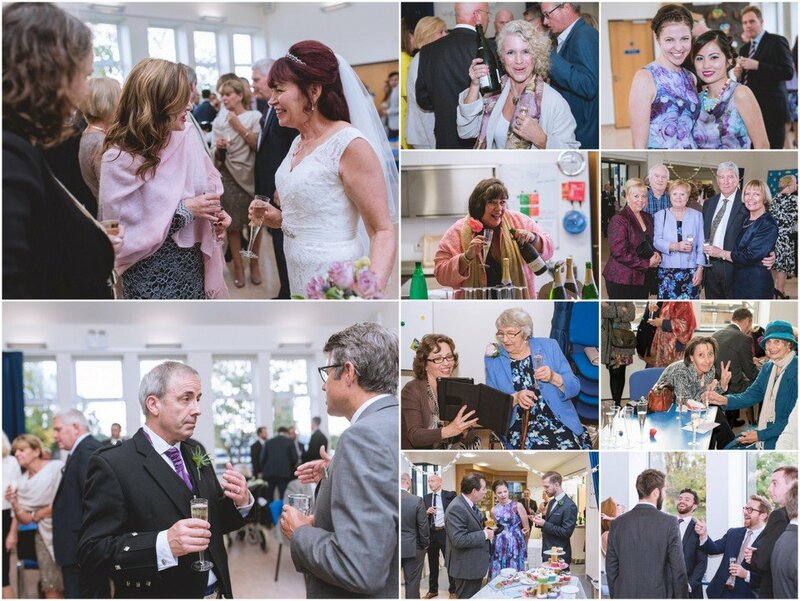 Here are just a few taken – many more in their on-line gallery! 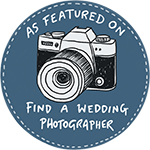 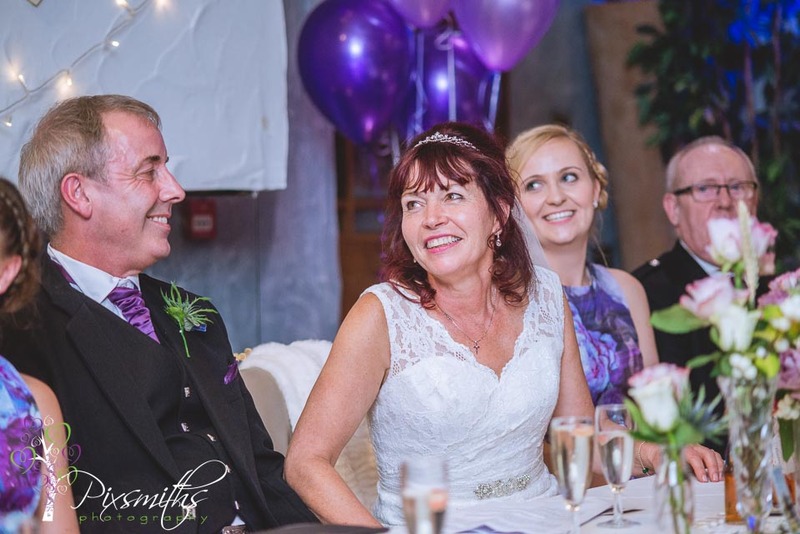 All images are including with their wedding images with full printing rights 🙂 Excellent value and quality from Pixsmiths.